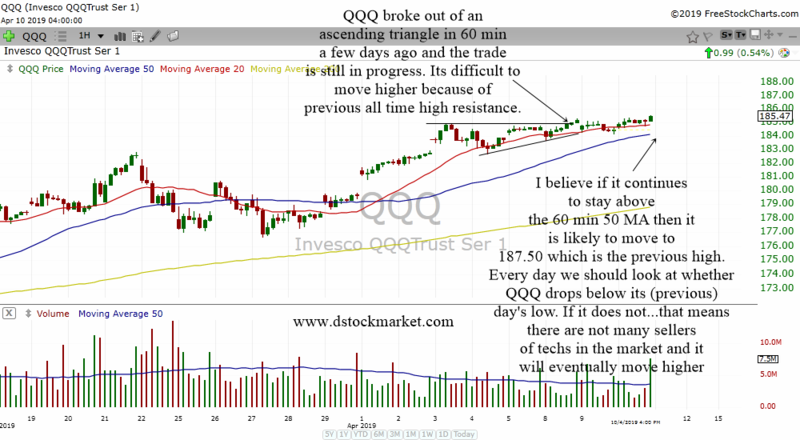 Well, we just had one of the best quarters in recent history. 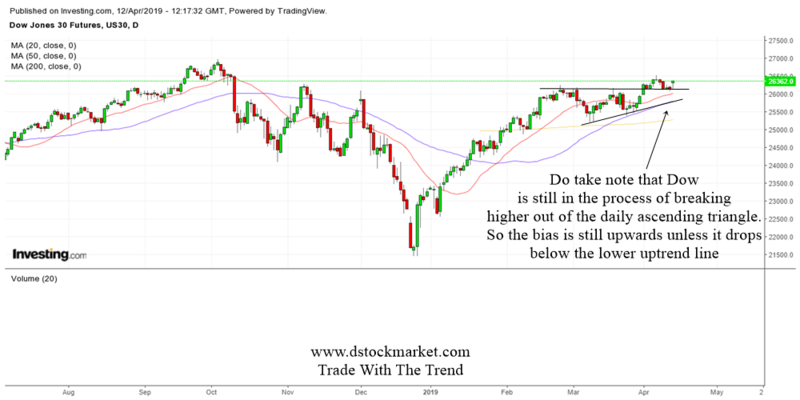 Thanks to the superb rally back in January to March 2019, the US stock market is once again very near to its all time highs. 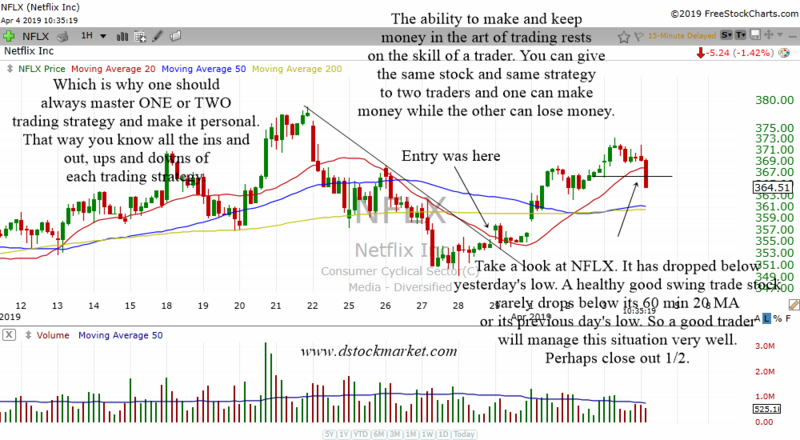 In this page, I will go through the different indices of the US stock market everyday. 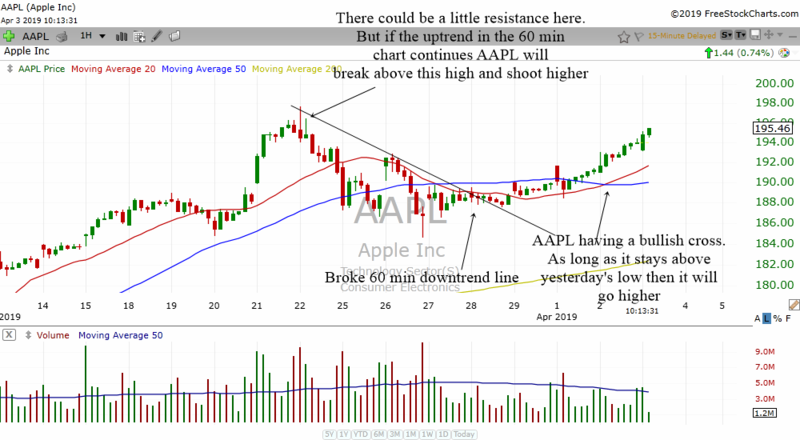 I will update this page every day with new analysis. 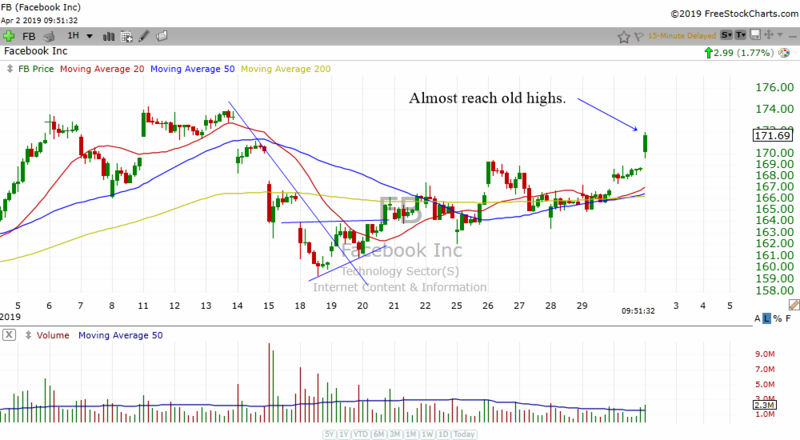 So do press the refresh button to see the latest analysis. 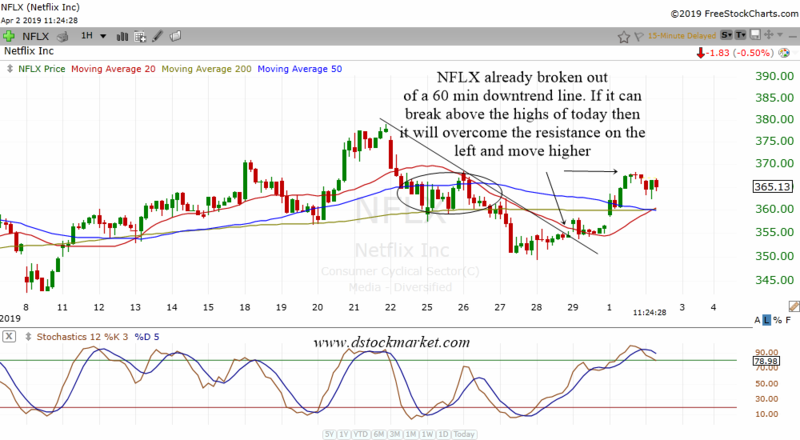 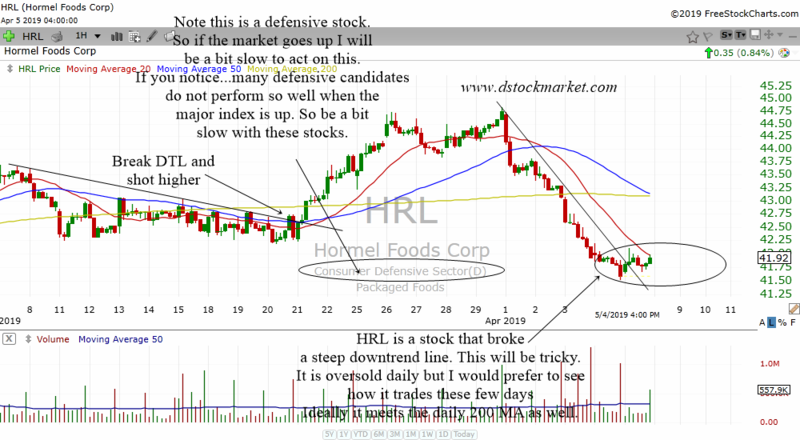 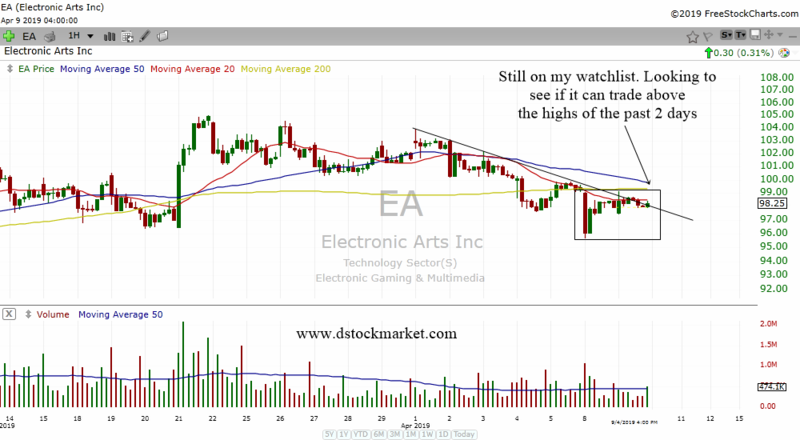 Throughout the day I will also continue to look at stock charts and annotate them. 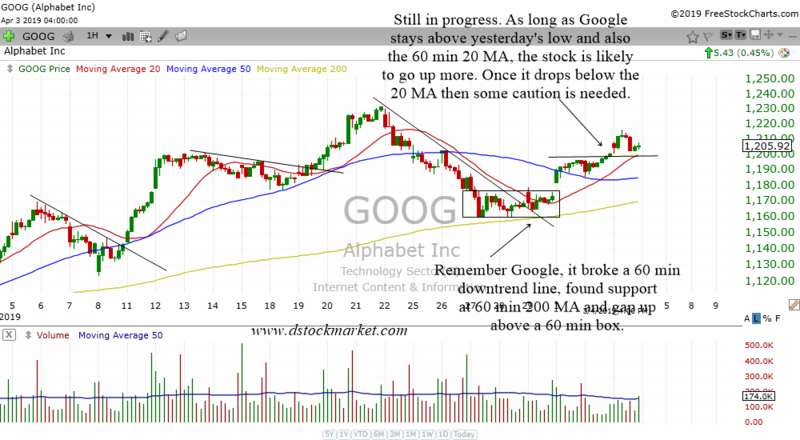 So if you have read it in the morning do press refresh again in the afternoon to see if there are any updates. 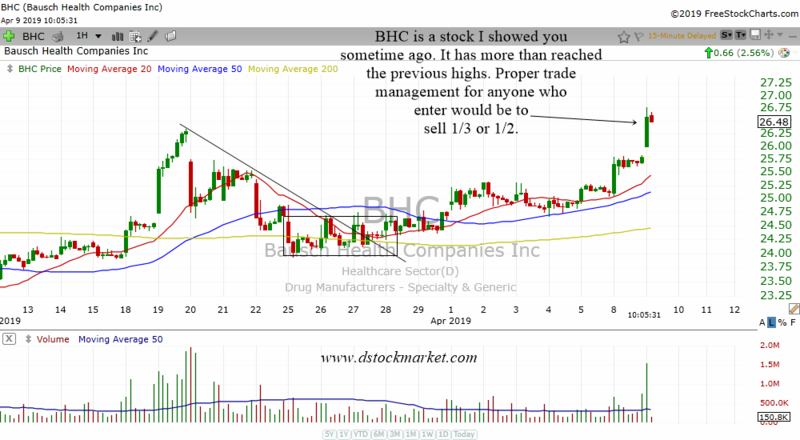 The updates I usually send them to the telegram chat group as I analyze them and comment on them. 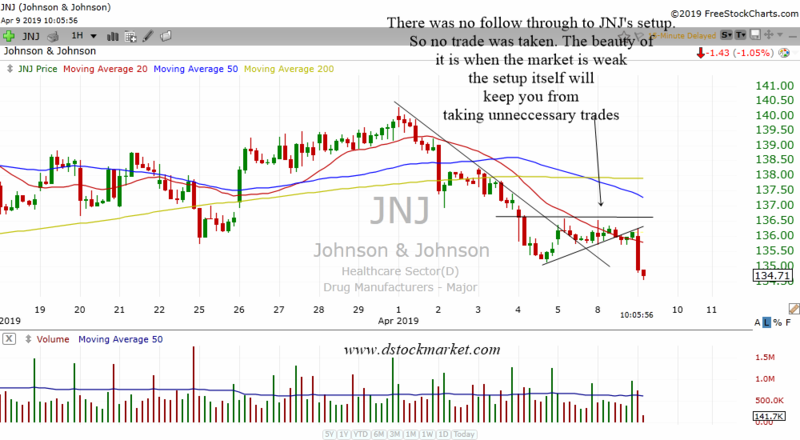 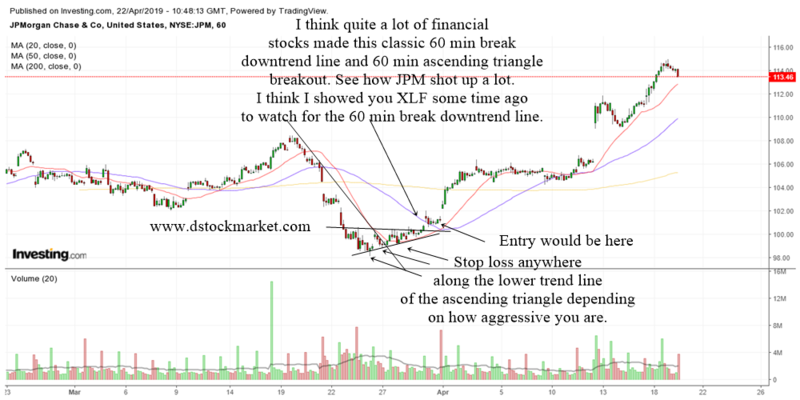 Dstockmarket Telegram Chat Group https://t.me/joinchat/EtJIDBF3SYAQRU4Ez57dqg. 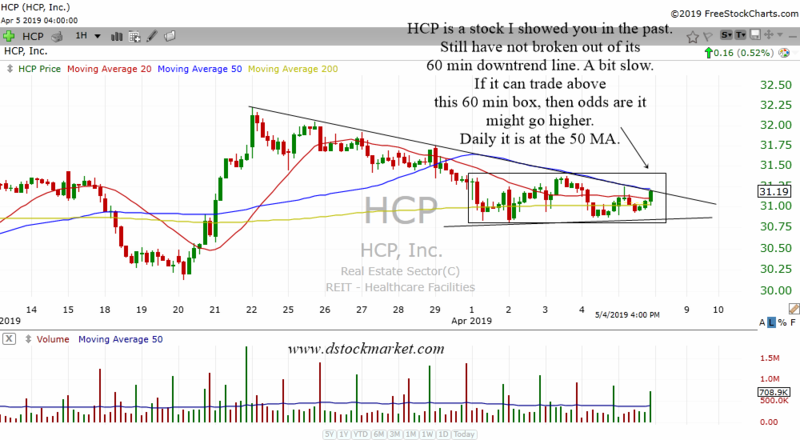 Copy the link and go to the page. 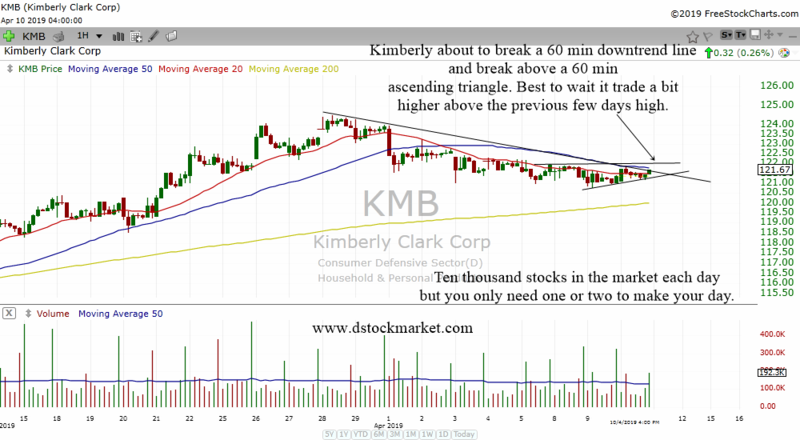 So if you want up to date info join the group. 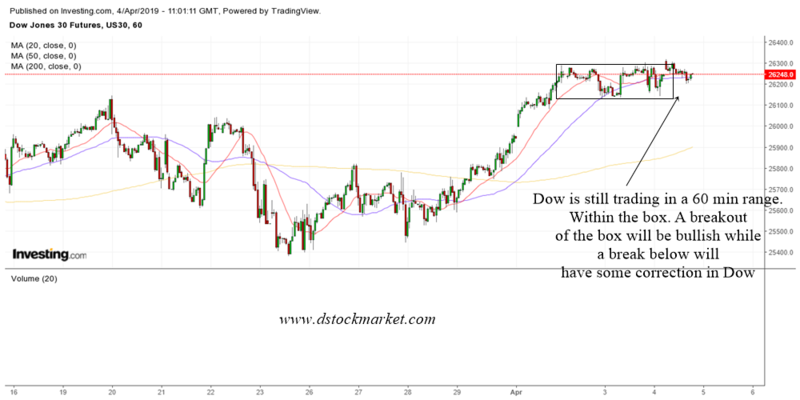 Yesterday was quite a tough day for the Dow. 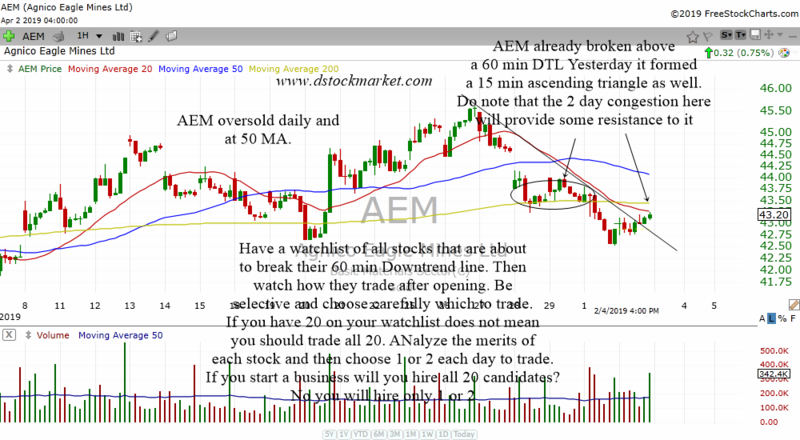 It broke below the 60 min box I have drawn. 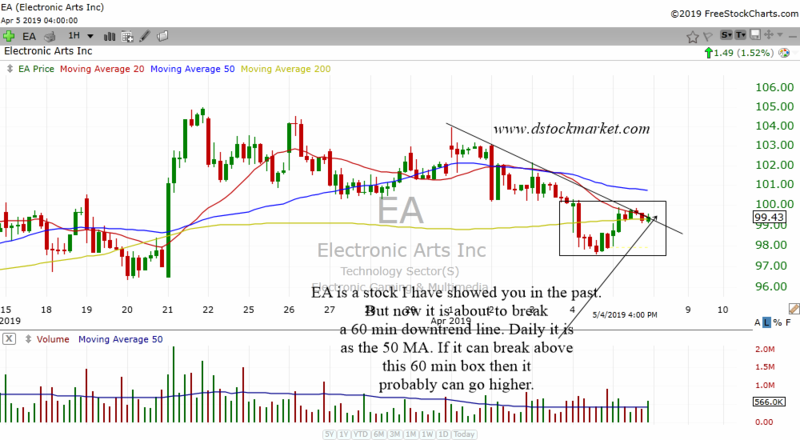 But just by a little bit. 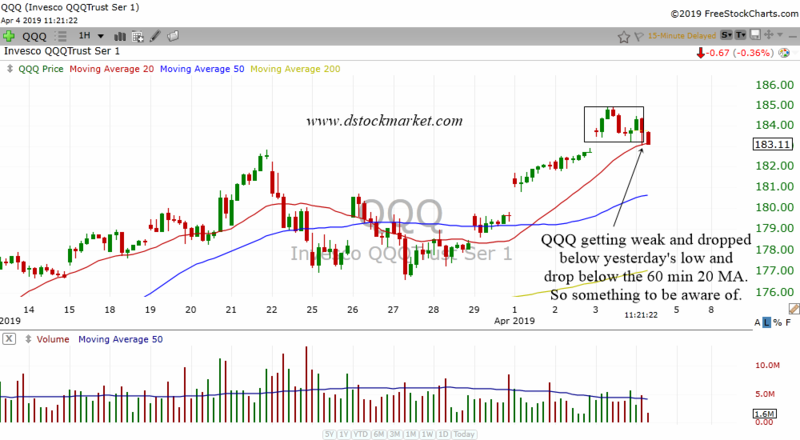 It then moved back up and now has broken out higher. 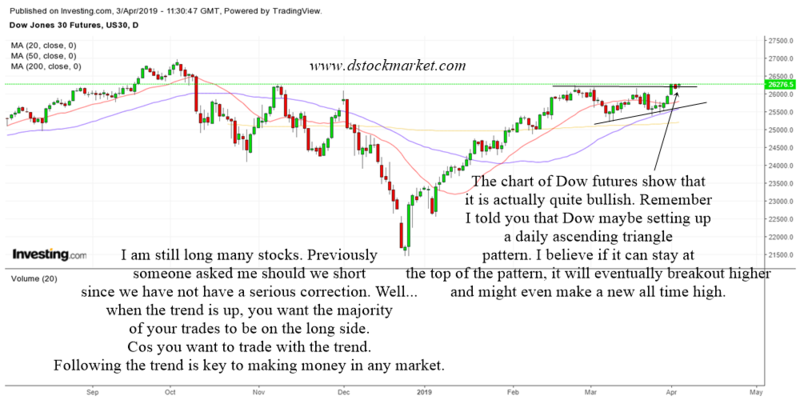 The short term movements of the market can sometimes be quite difficult to track but do remember that the daily chart of the Dow still shows the daily ascending triangle is still in progress. 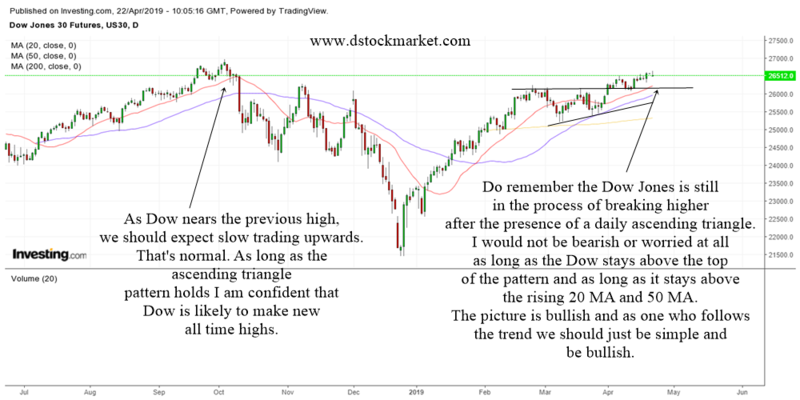 Dow's uptrend is still intact therefore the bias should be bullish. 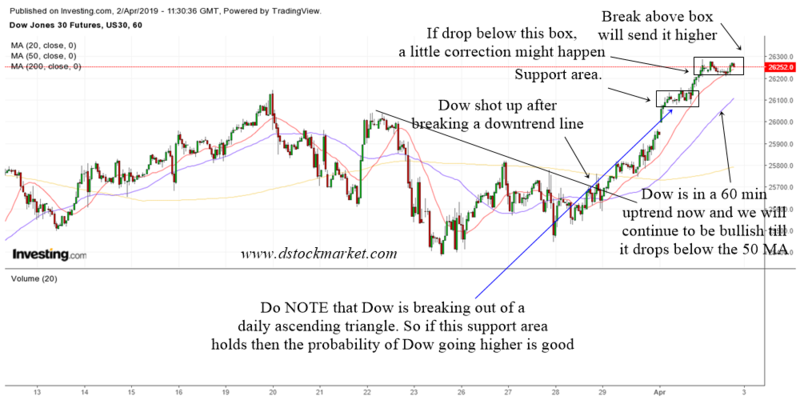 One should still be bullish on the Dow unless it falls below the lower trend line of the ascending triangle. 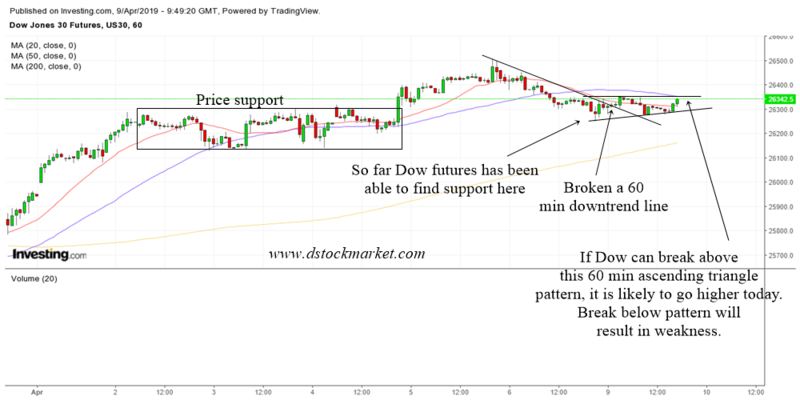 Dow futures was quite weak yesterday. 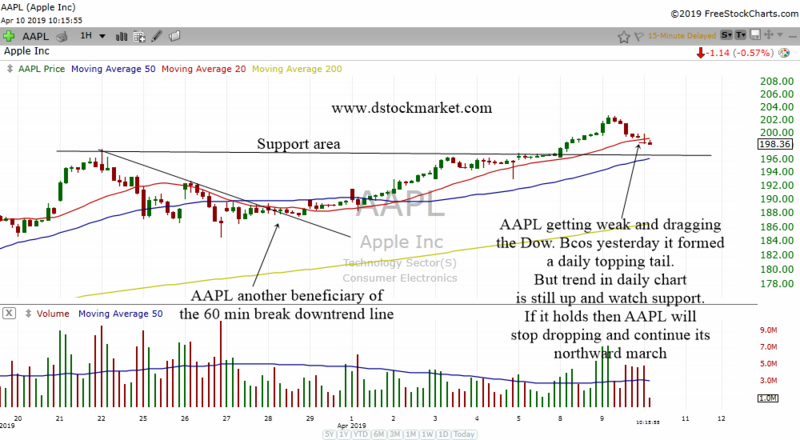 However it was able to find support at the price support area. 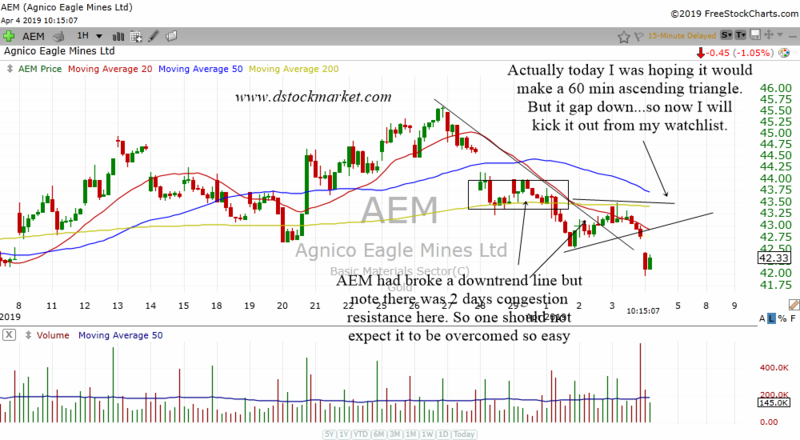 Right now it might be developing a 60 min ascending triangle. 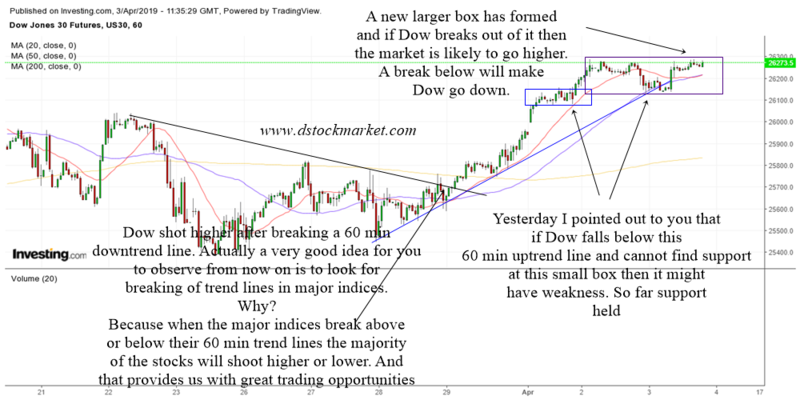 If Dow can break above this pattern then it is very likely that it will go higher today. 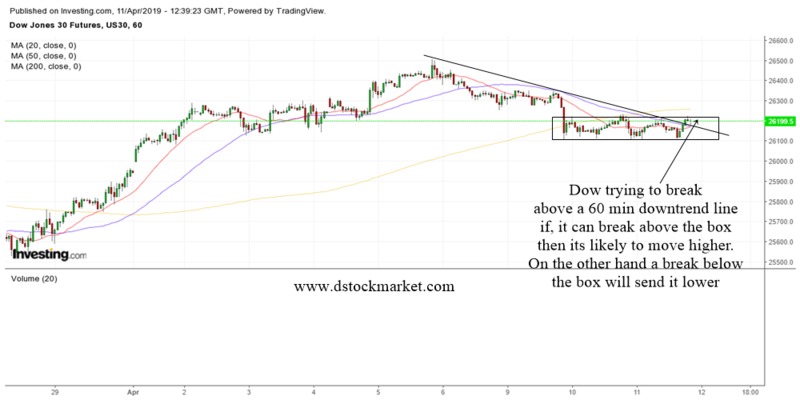 The Dow Jones futures has managed to break above a 60 min box. 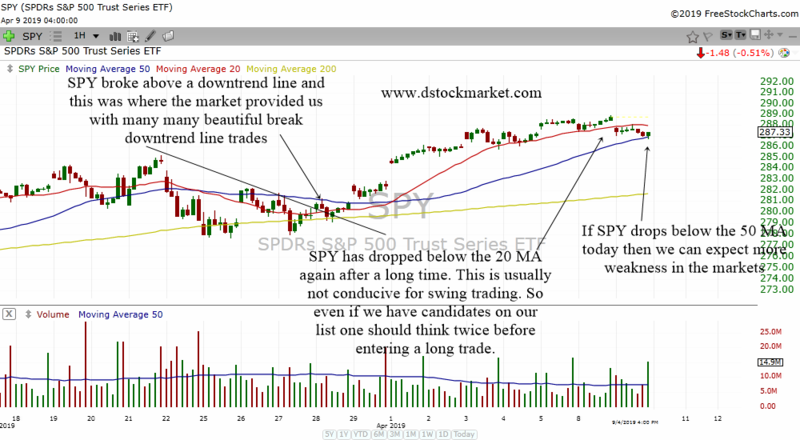 This is bullish and today we will have to wait and see what the jobs report says. 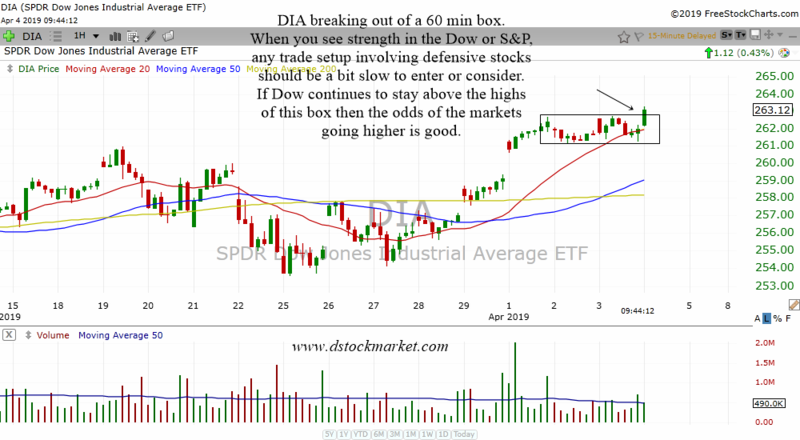 Job reports can make the markets swing wildly but I believe if the Dow manages to stay above the box then it is likely to continue to move higher. 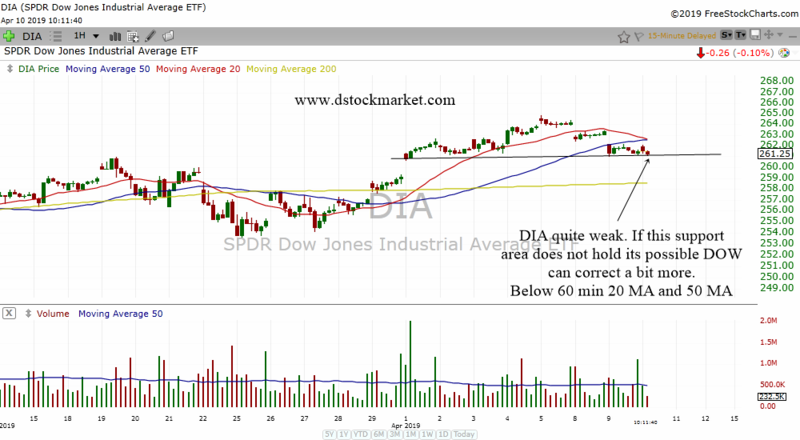 The Dow is still trading above its 60 min 20 MA, 50 MA and 200 MA. 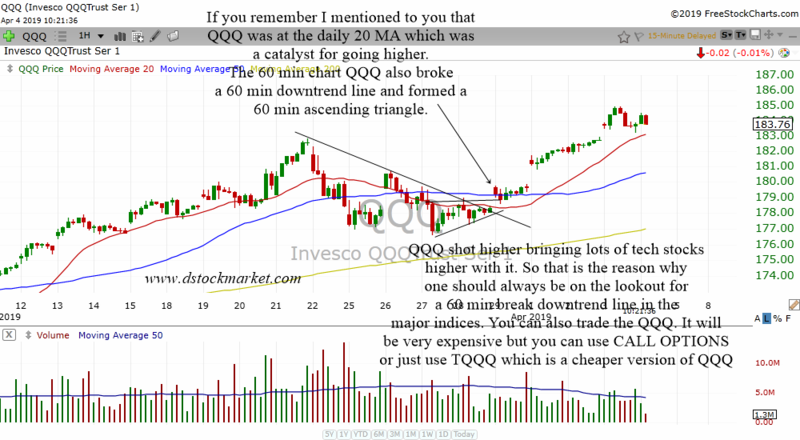 Since Dow is above these moving averages, it is still in a short term uptrend and the odds of it moving higher is good. 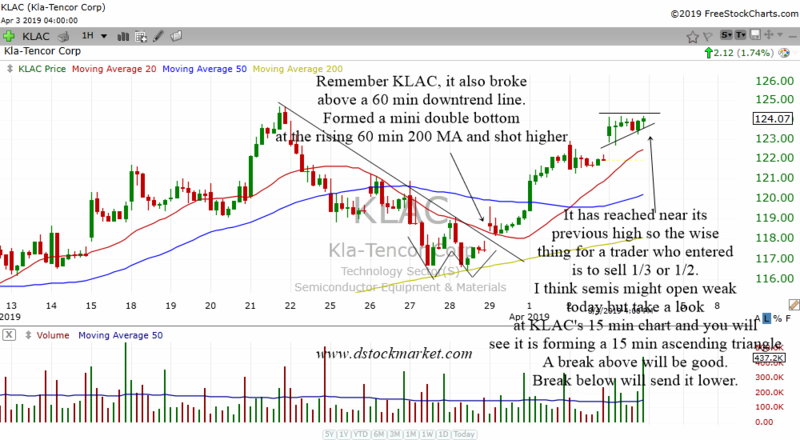 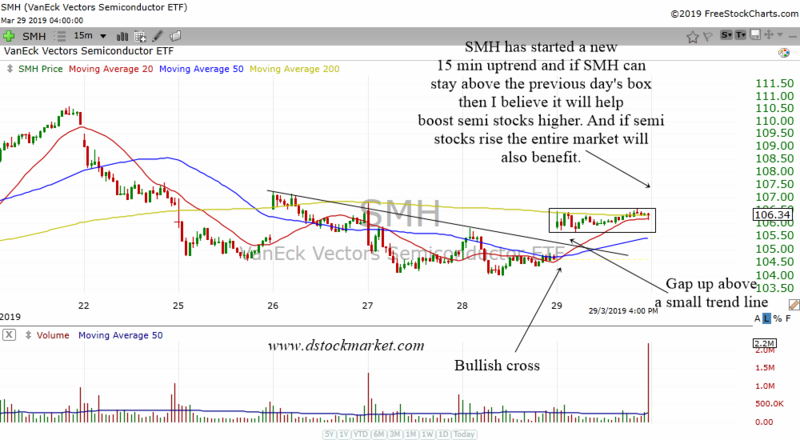 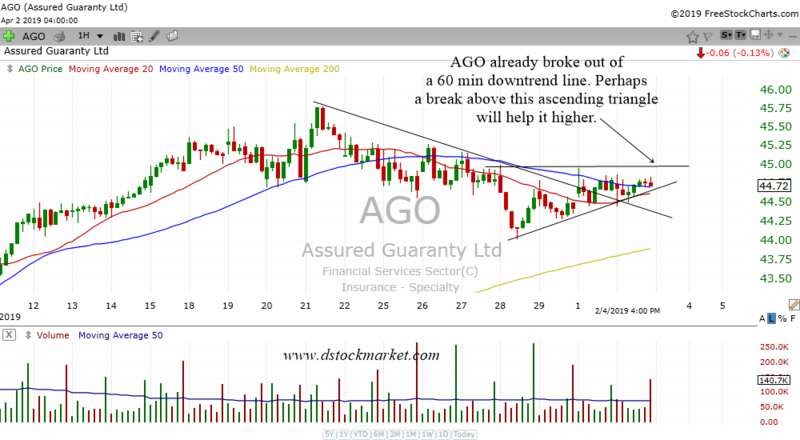 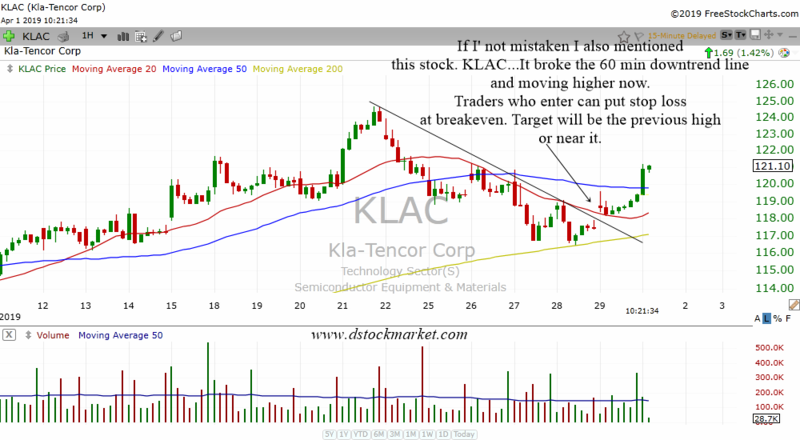 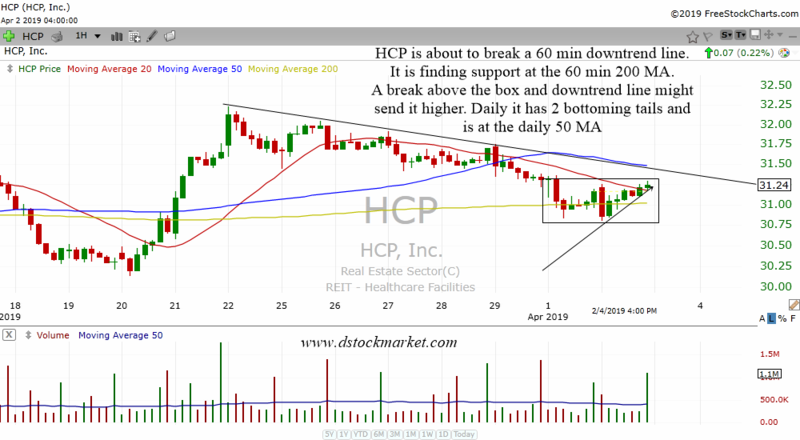 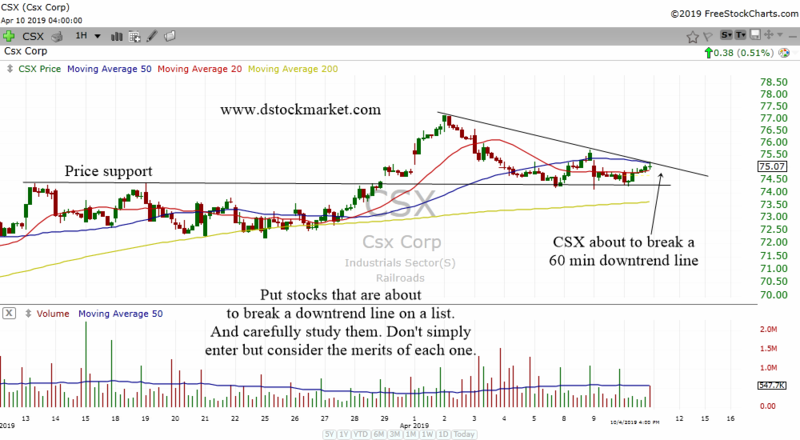 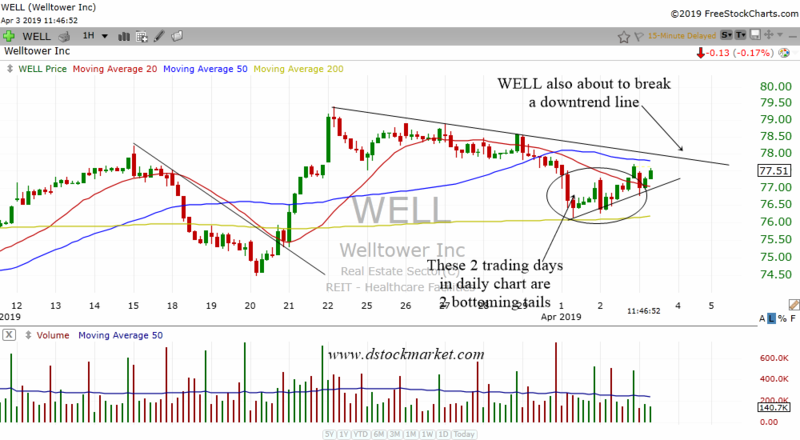 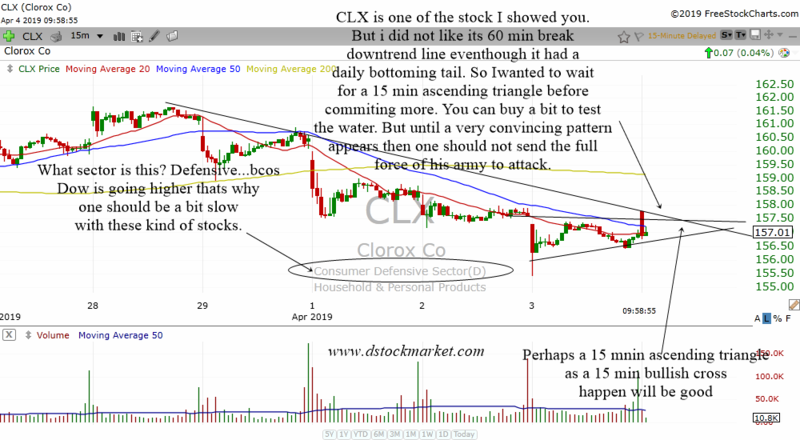 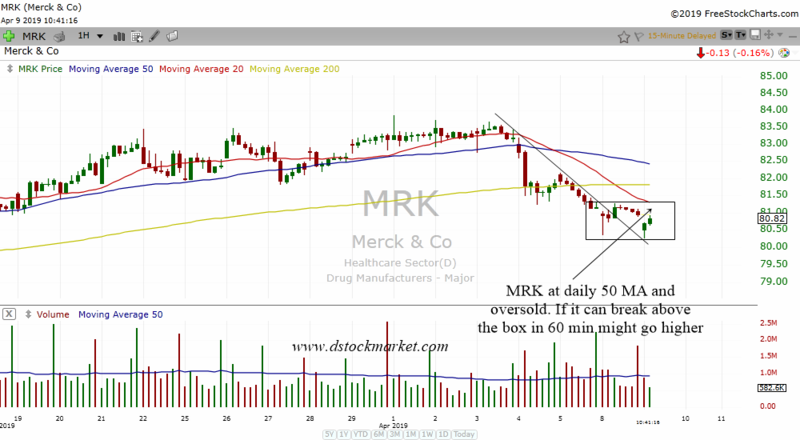 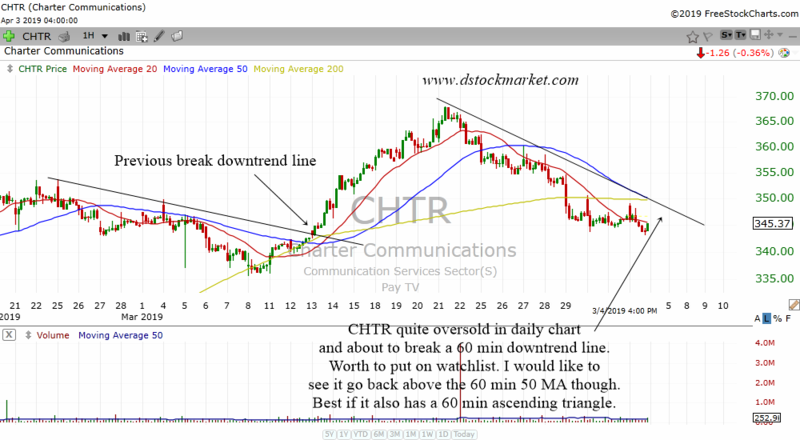 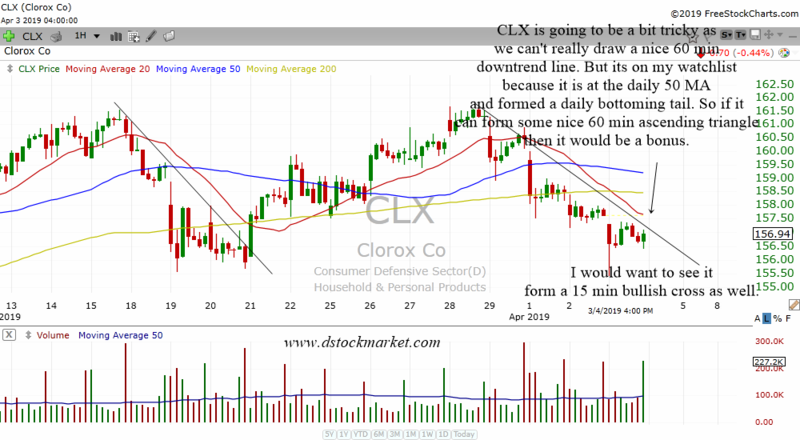 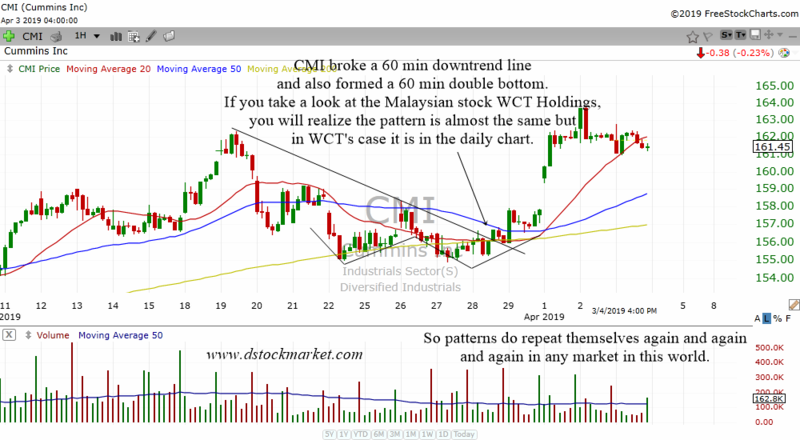 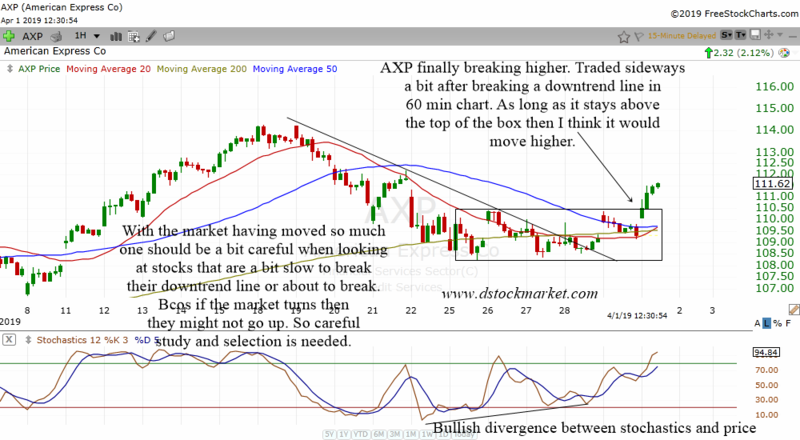 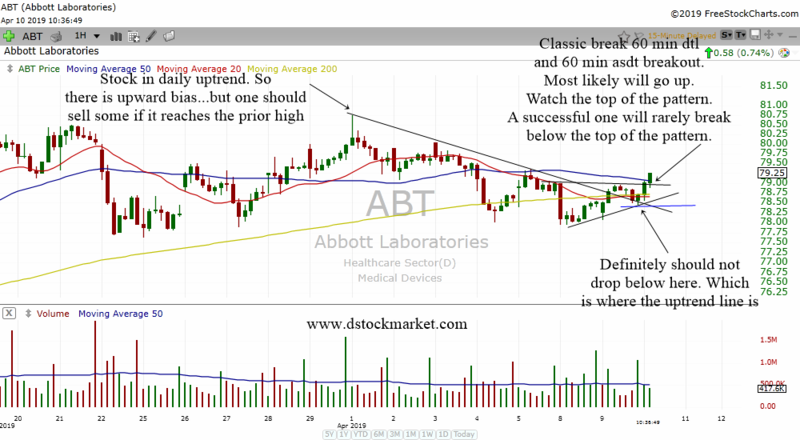 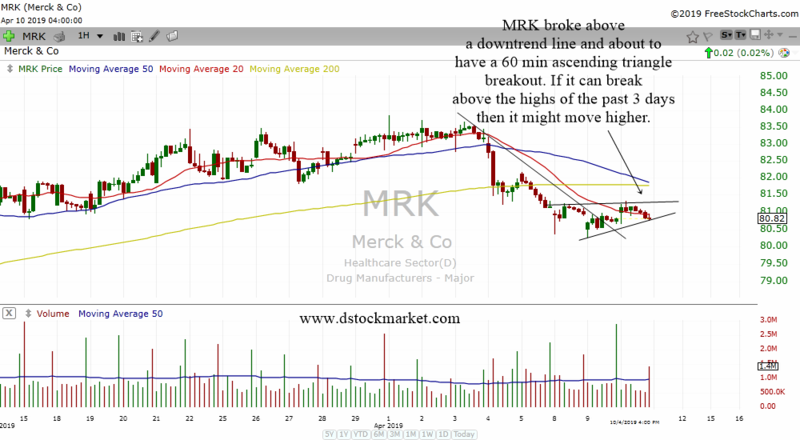 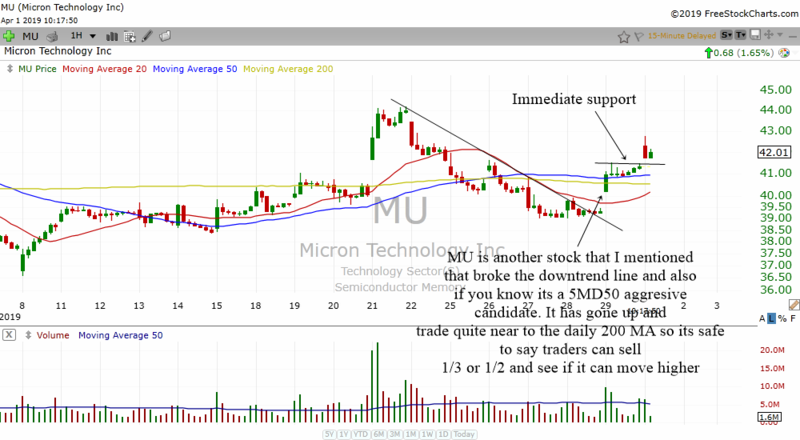 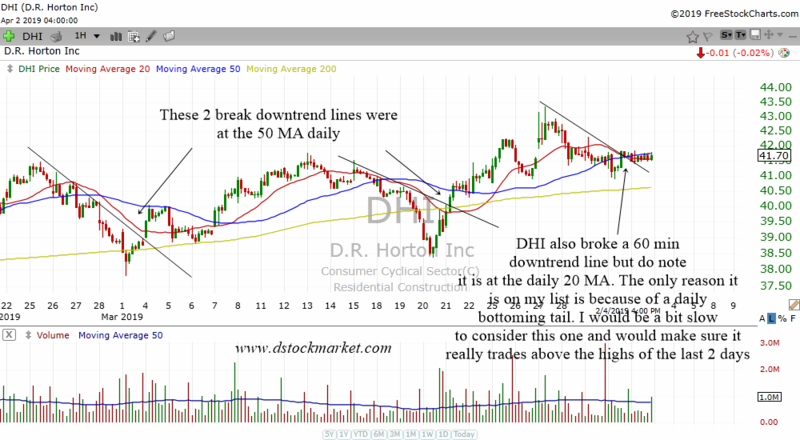 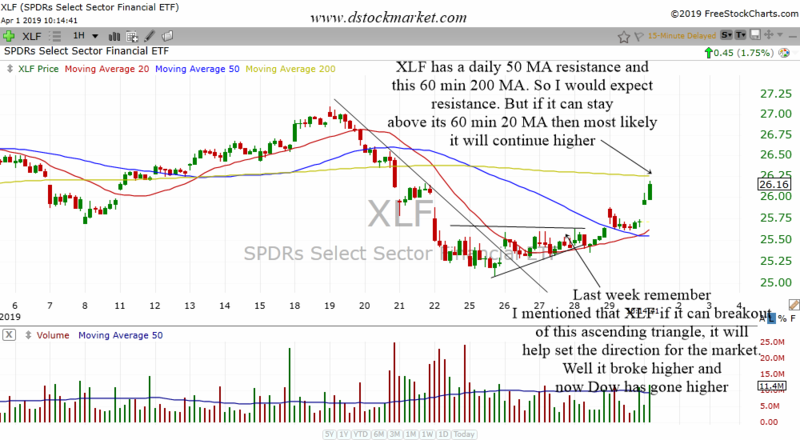 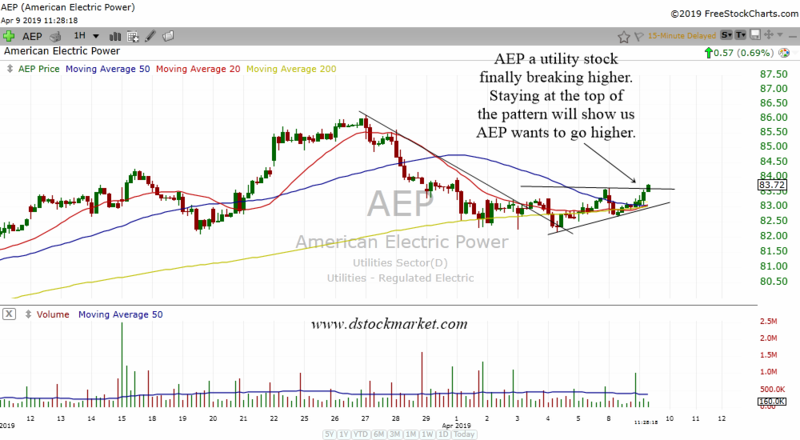 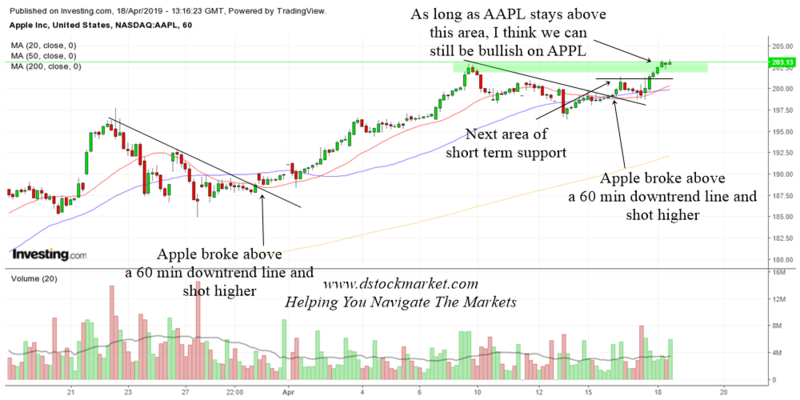 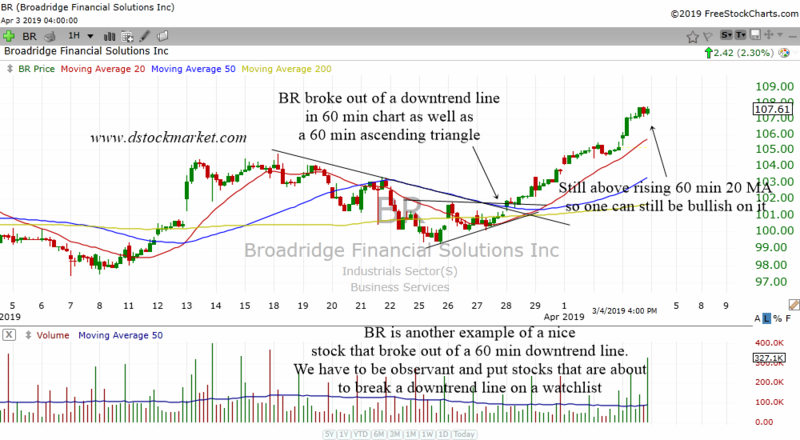 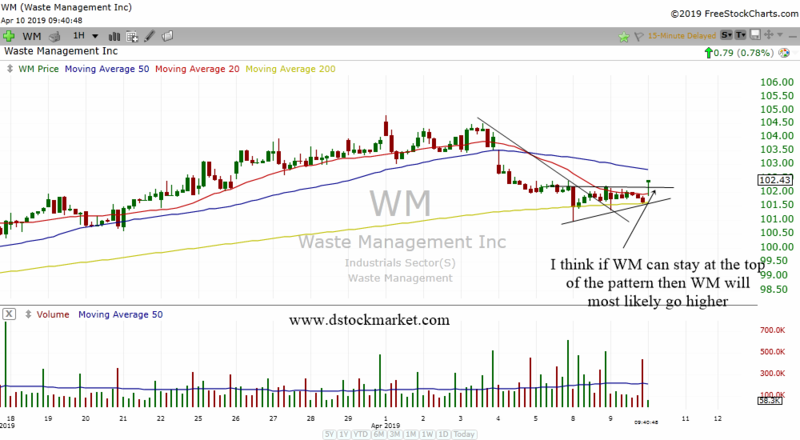 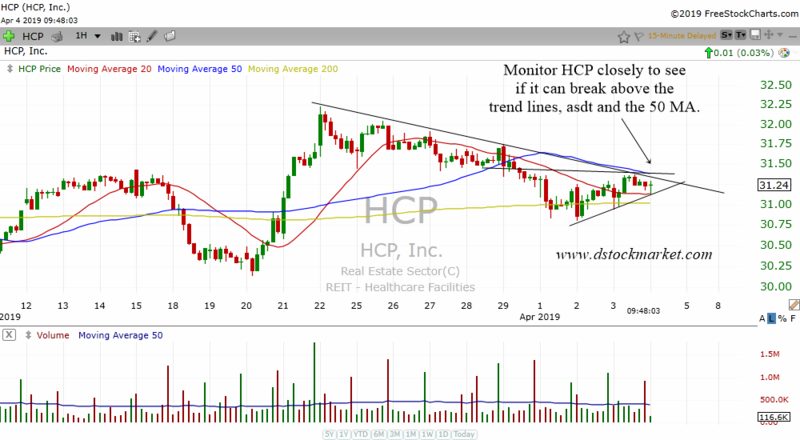 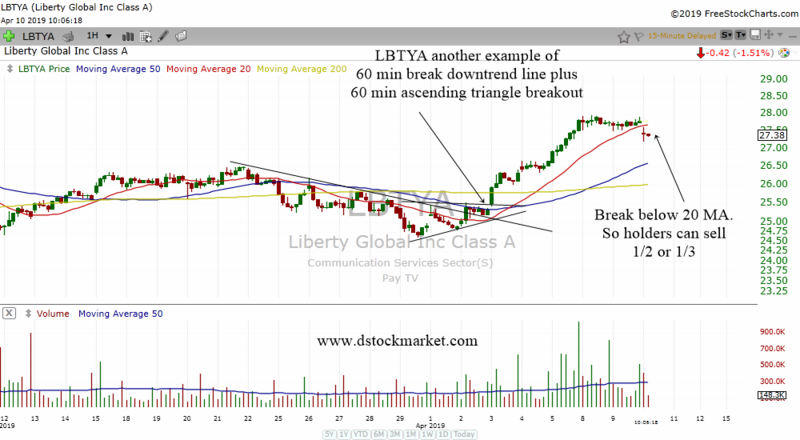 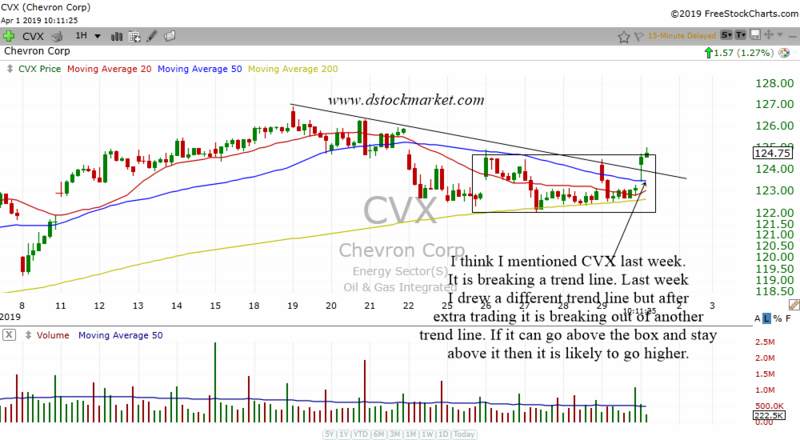 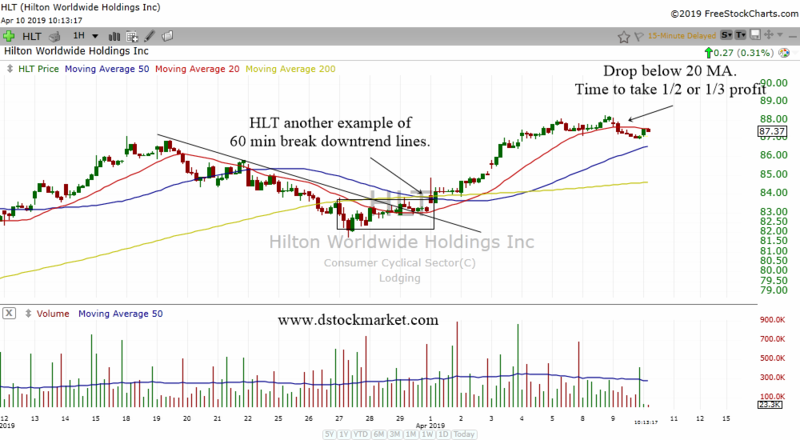 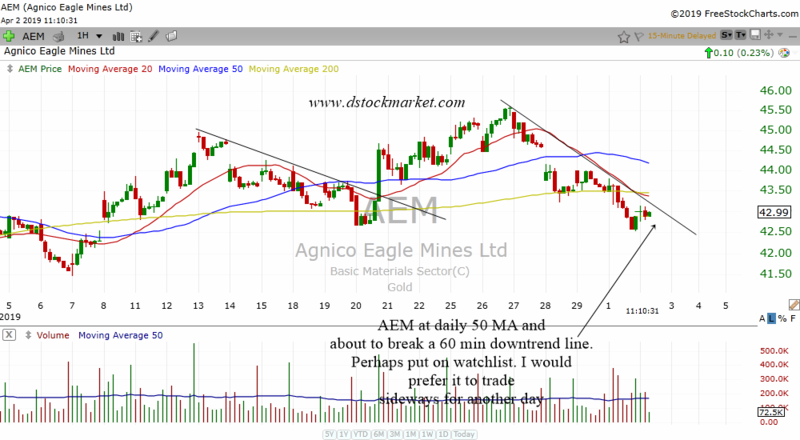 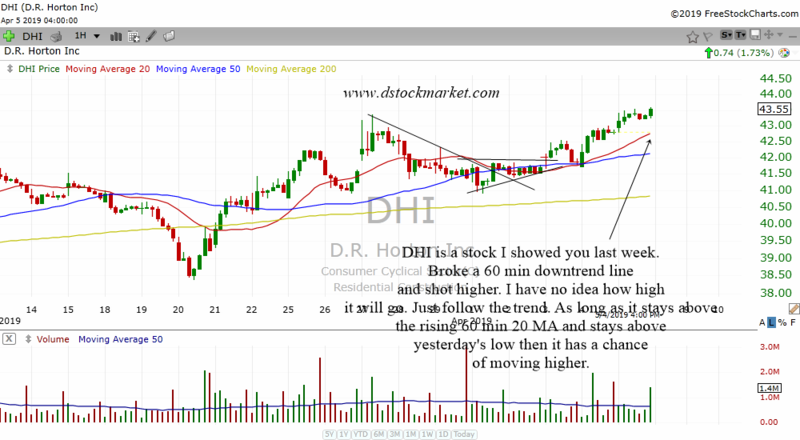 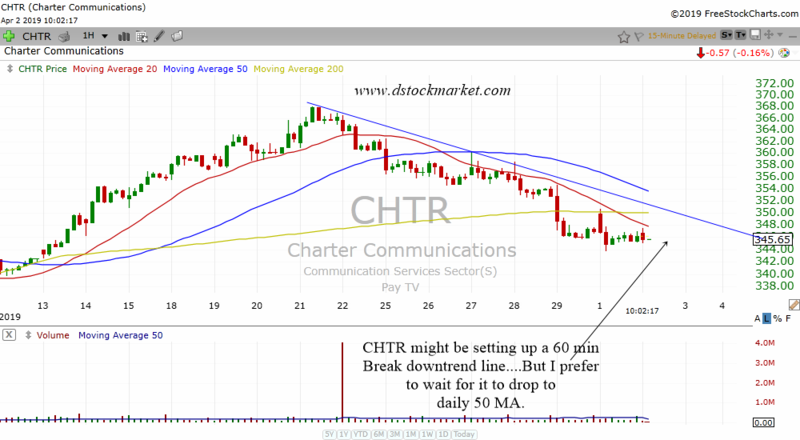 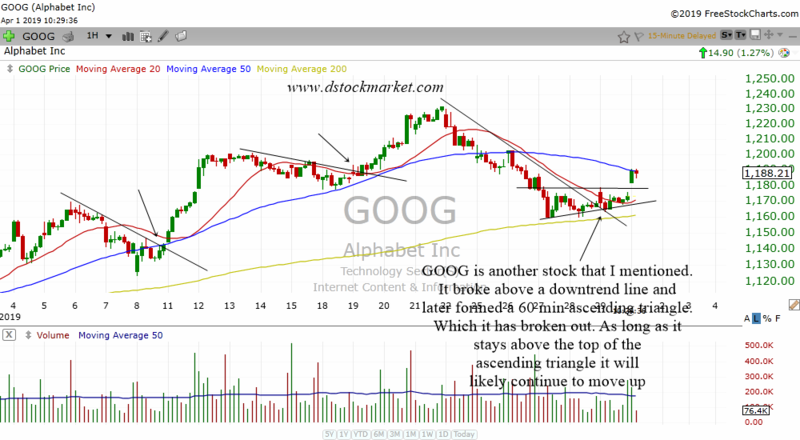 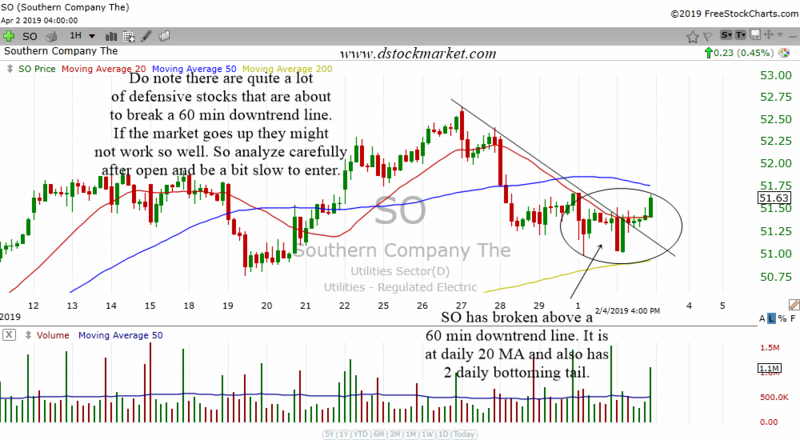 Here are the updates, some charts that I annotate and some 60 min break downtrend lines. 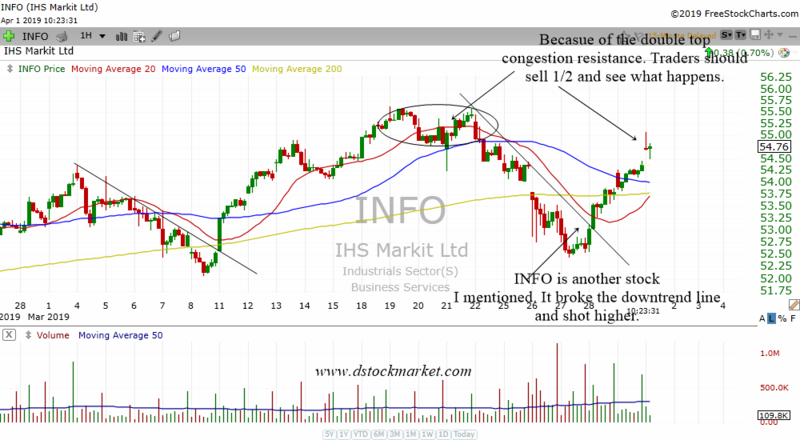 The market has ran up quite a lot and with the major indices, it is very rare that they will keep running up non stop. 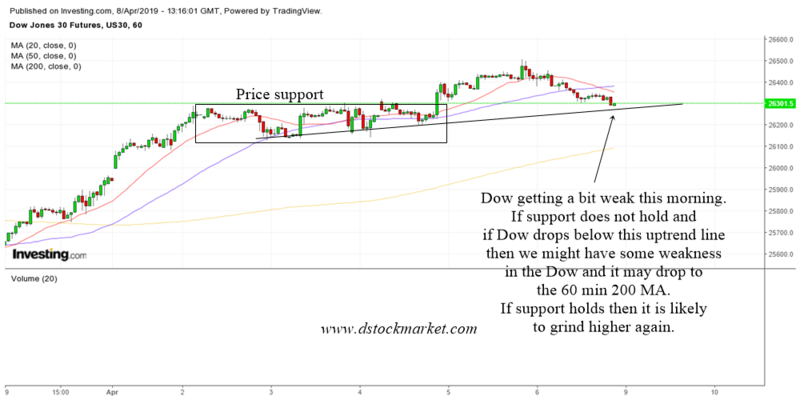 So we turn to the 60 min chart of the Dow futures for some guidance. 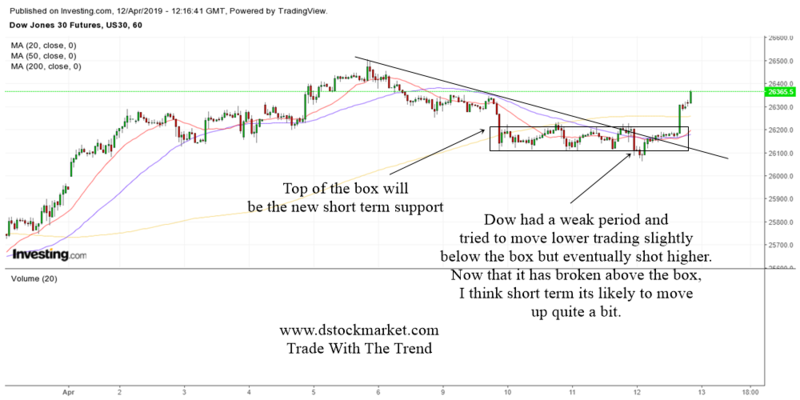 There are 2 boxes I have drawn. 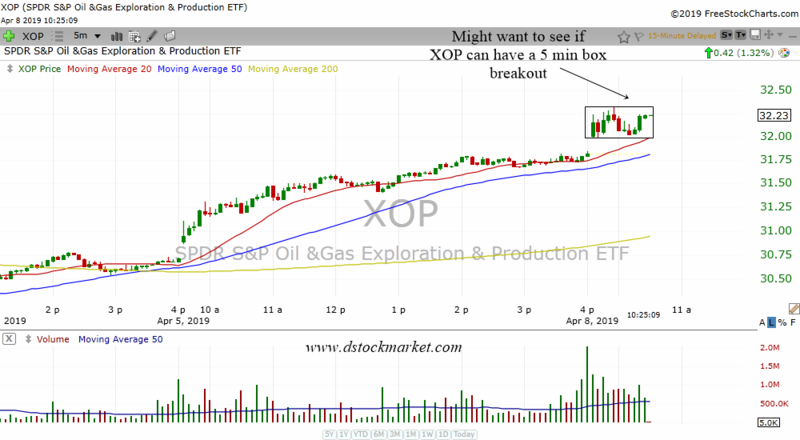 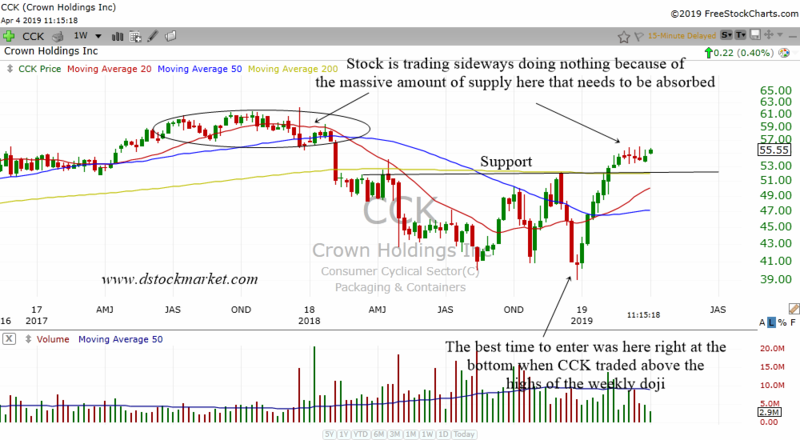 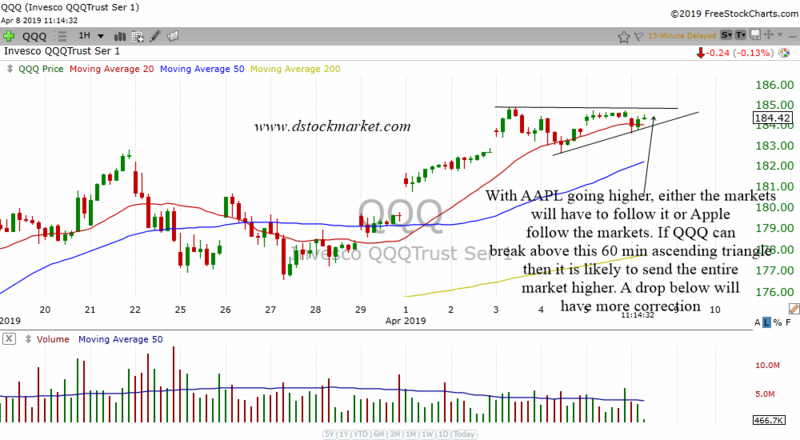 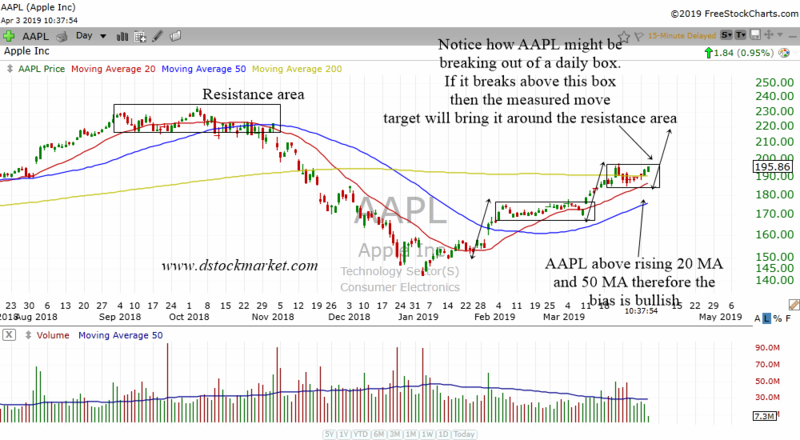 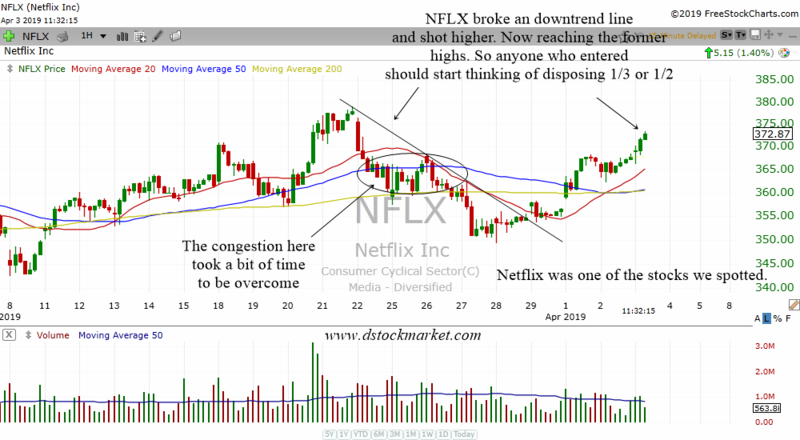 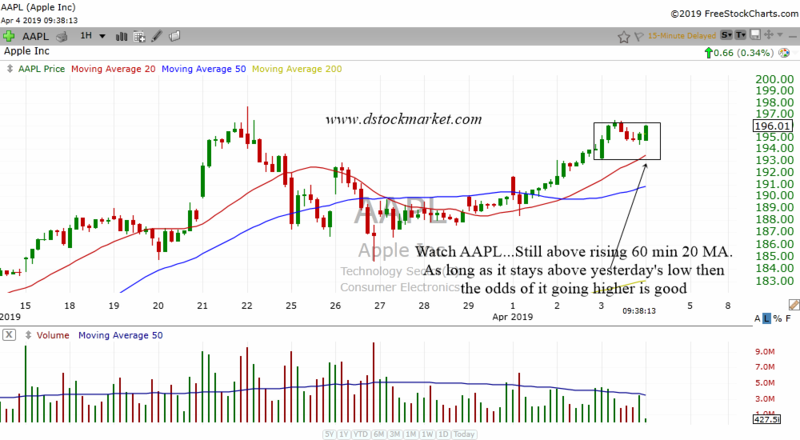 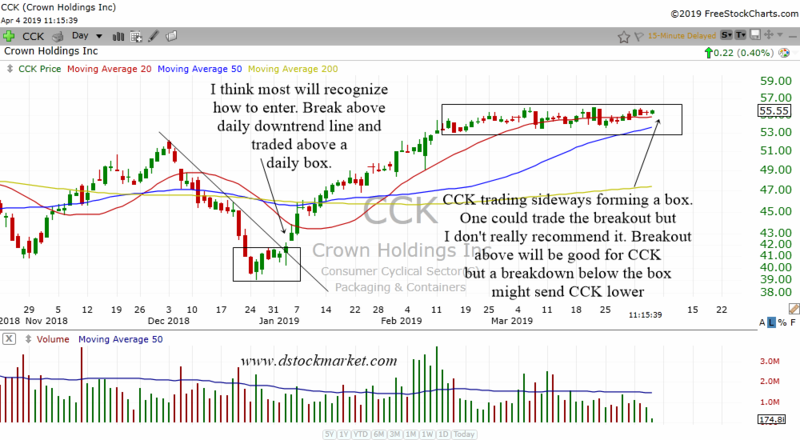 A breakout above the most recent box will help send the markets higher. 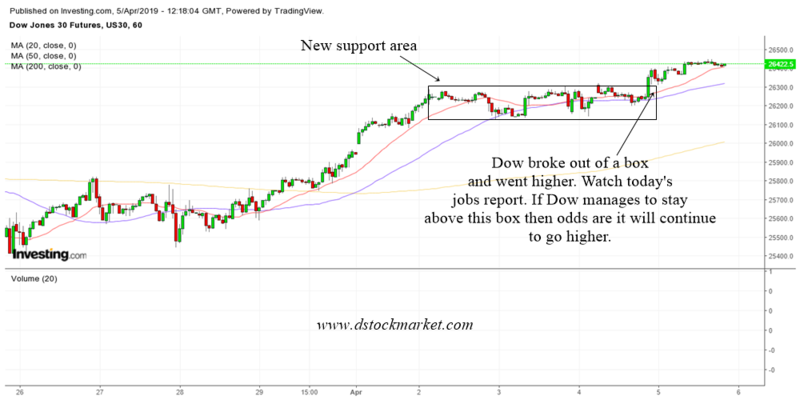 If Dow drops, the next support box will be important. 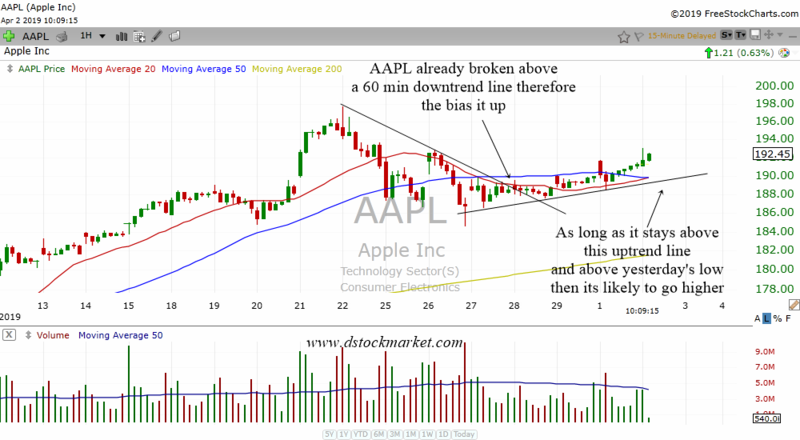 If it can't hold then most likely there will be a correction. 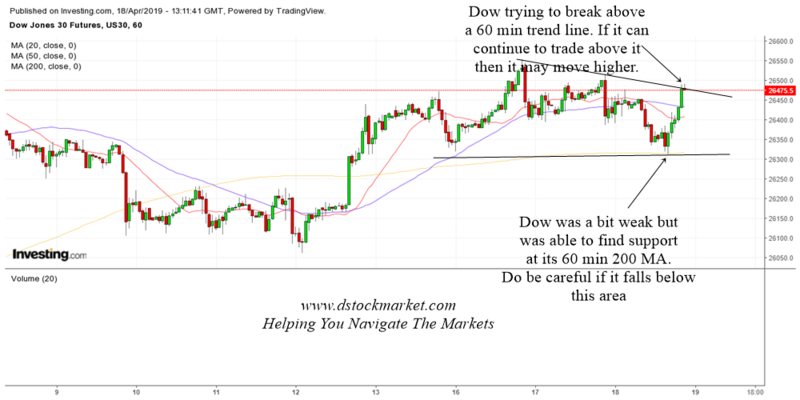 Do stay bullish on Dow as long as its above the 60 min 50 MA. 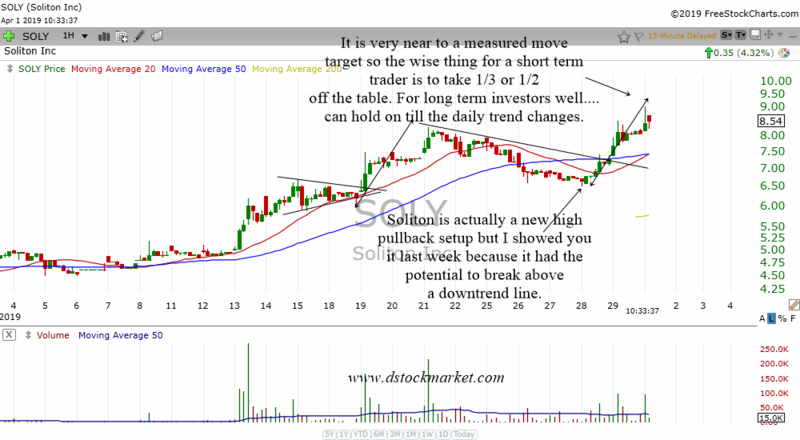 Here are the updates that I did as the day progressed. 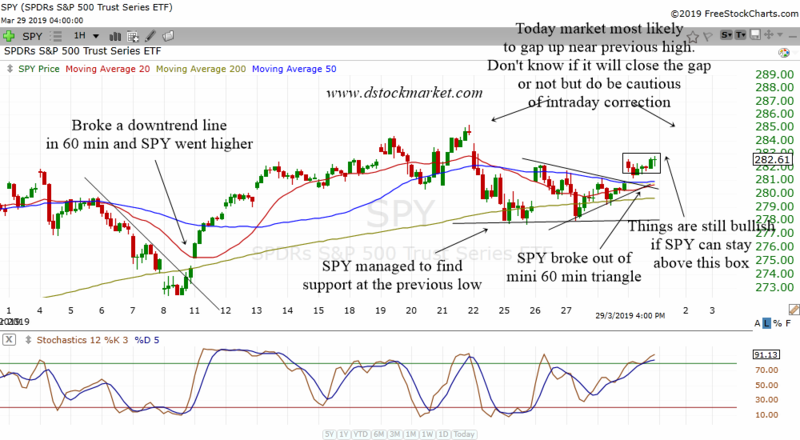 The preceding section of today's analysis was before the market open. 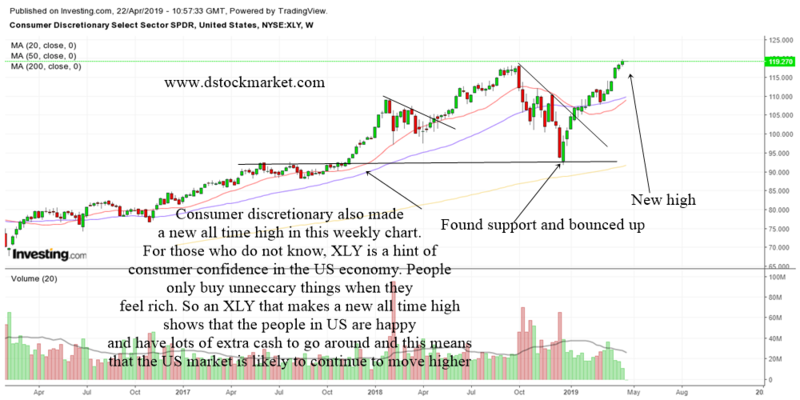 I think the US stock market is still bullish at the moment. 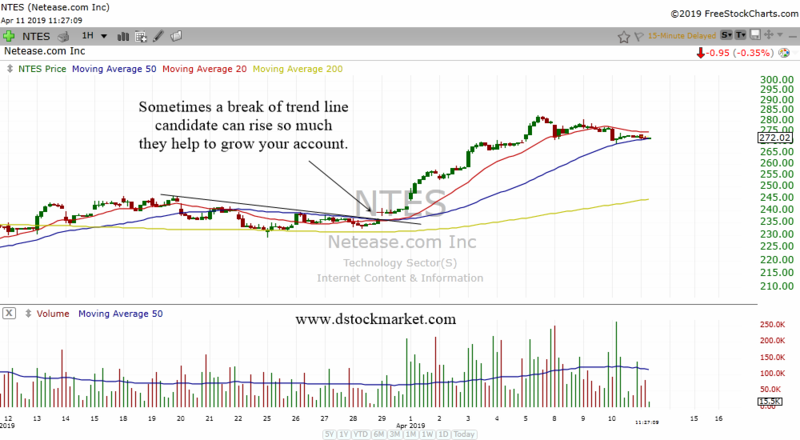 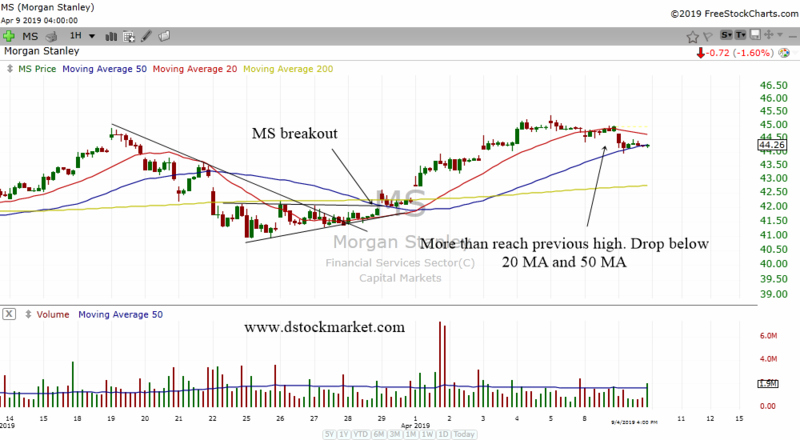 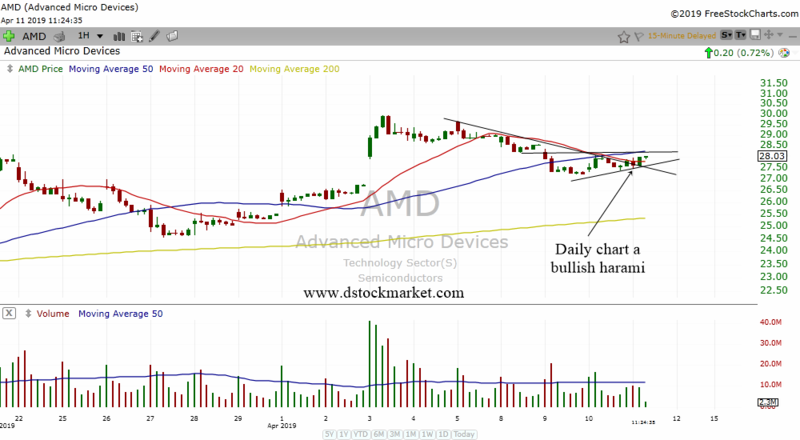 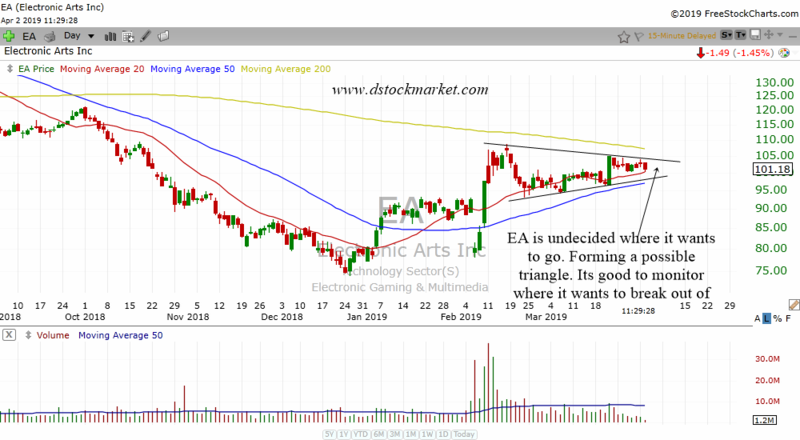 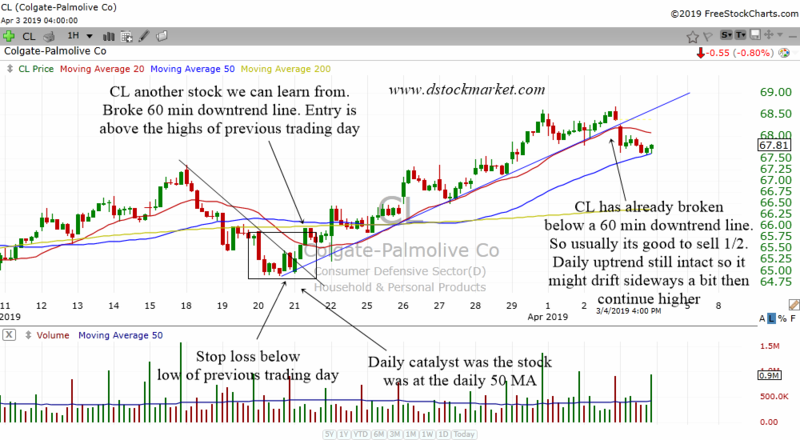 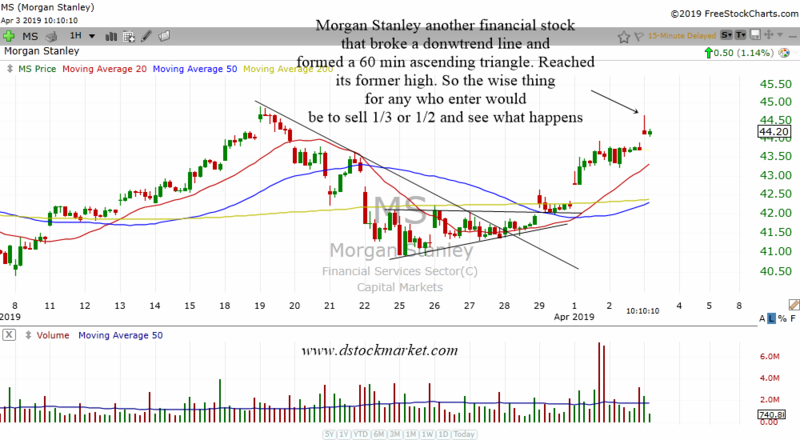 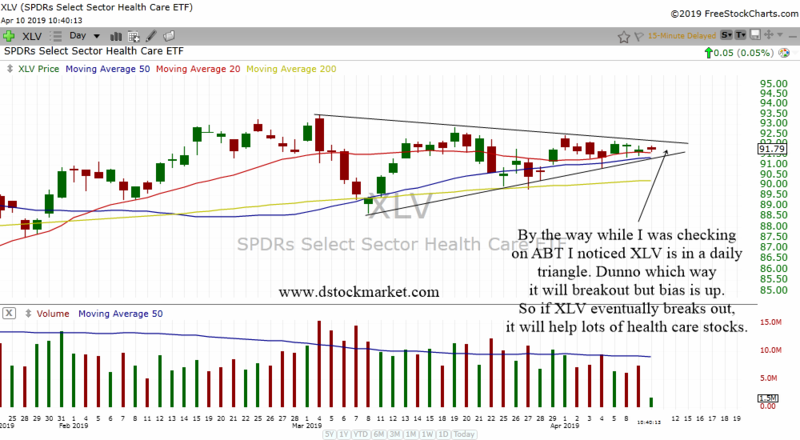 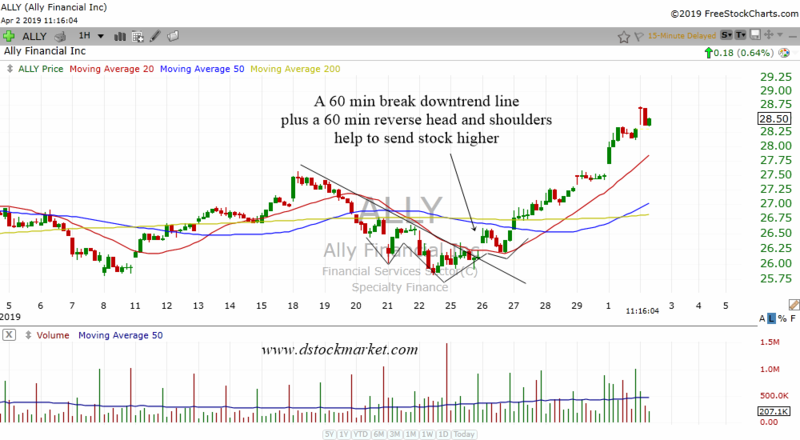 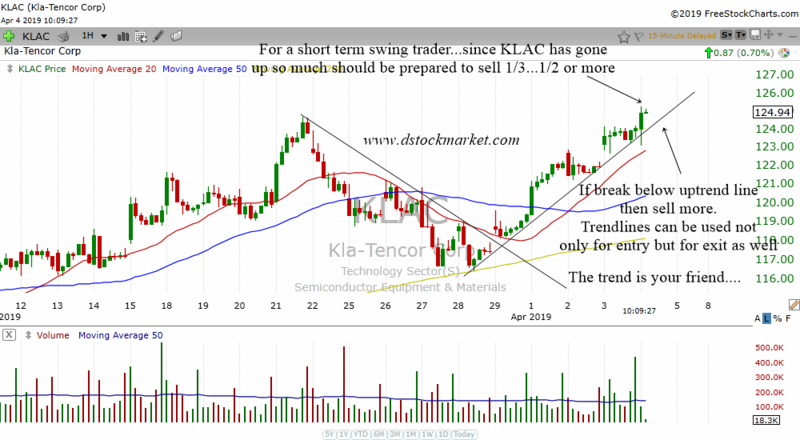 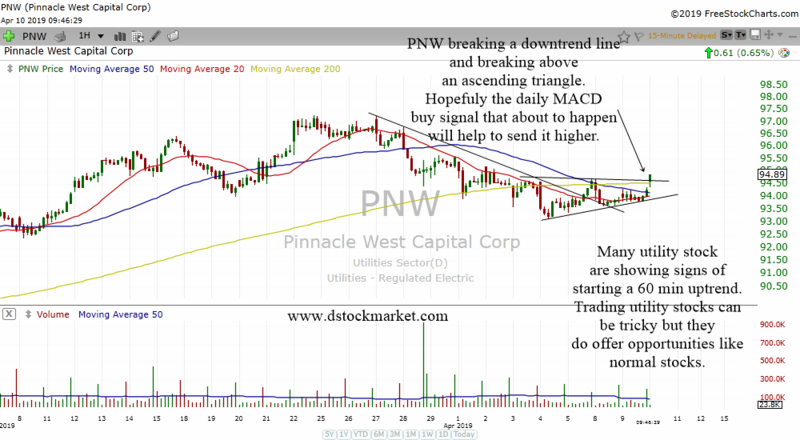 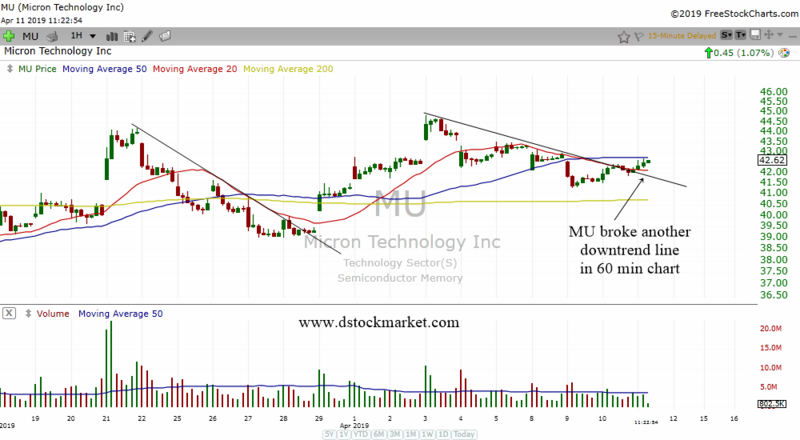 The recent sideways trading may have formed what technicians call an ascending triangle pattern. 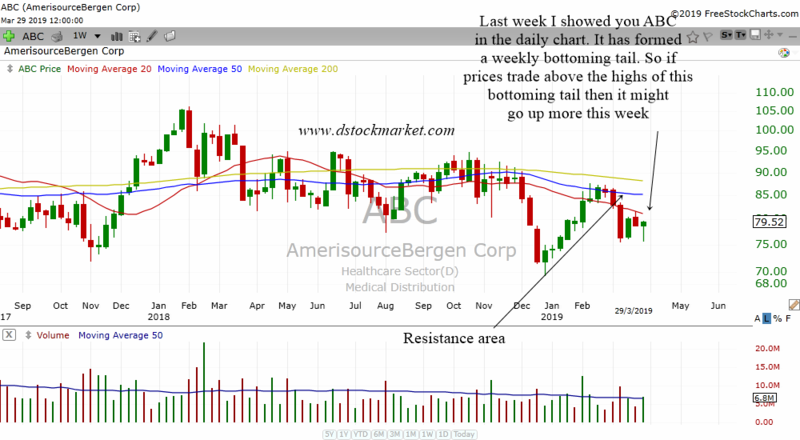 This is a bullish continuation pattern. 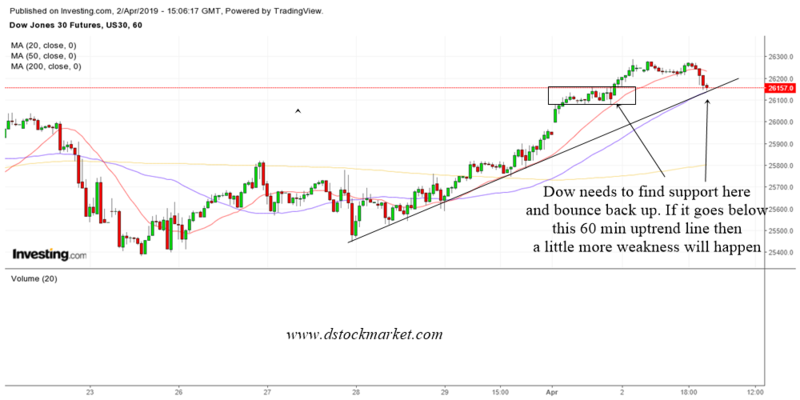 If Dow can breakout of this pattern then the target will be north of 27000 which will be above the previous all time highs. 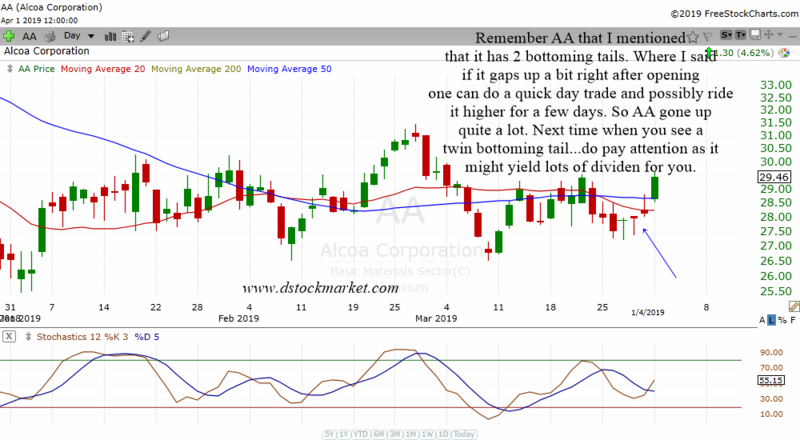 There is a fear of a recession as there has already occurred and inverted yield curve in US and also in UK. 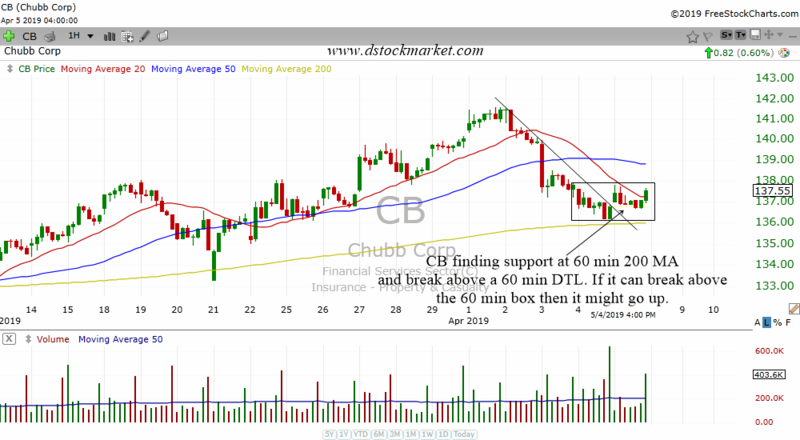 These signs can be quite reliable but it does not mean a crash will happen straight away. 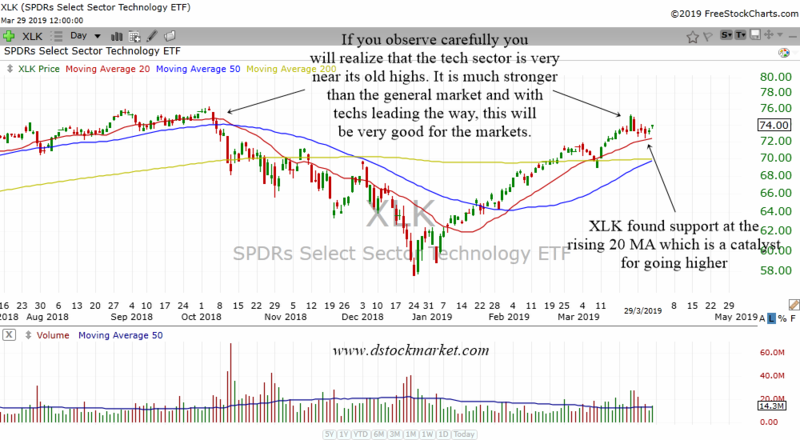 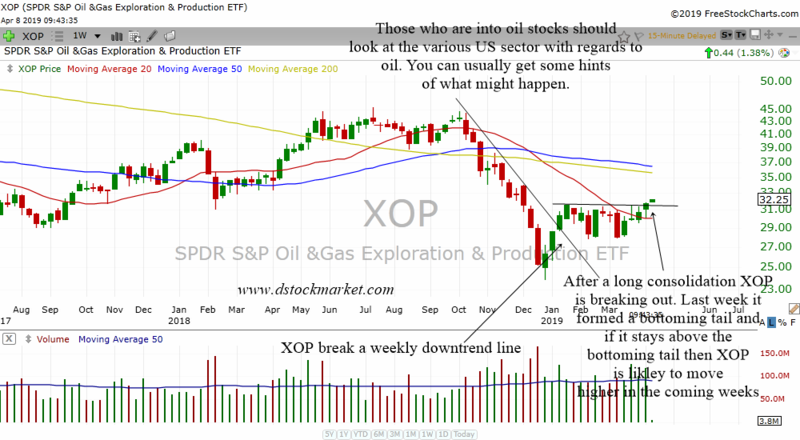 I advise you to continue to follow the trend as this bull market may have more to run. 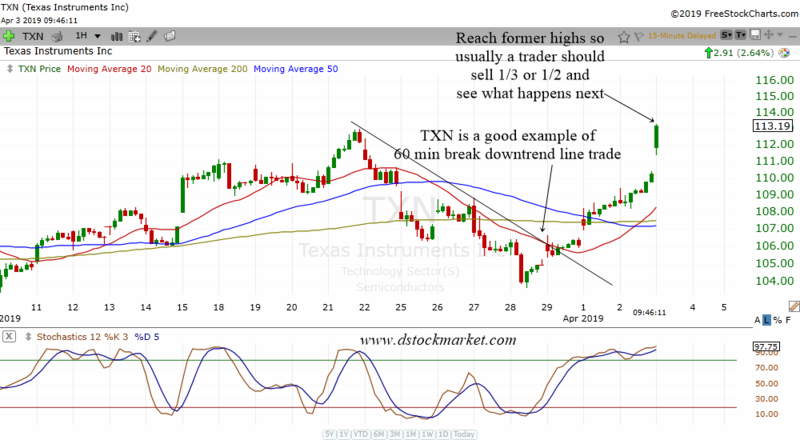 As long as the uptrend is intact we should continue to be bullish. 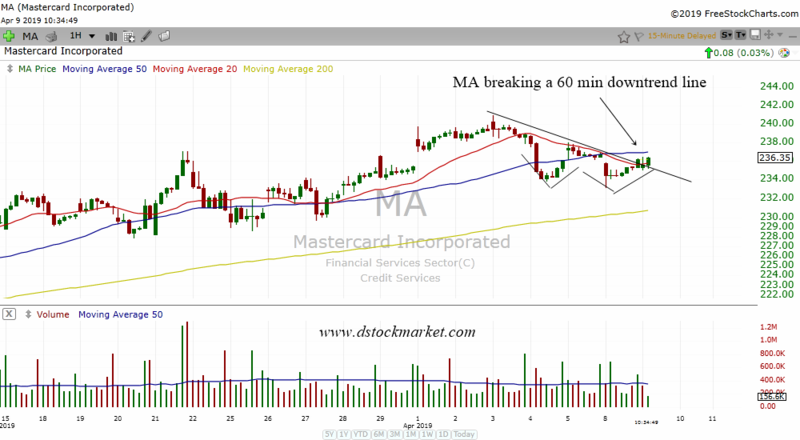 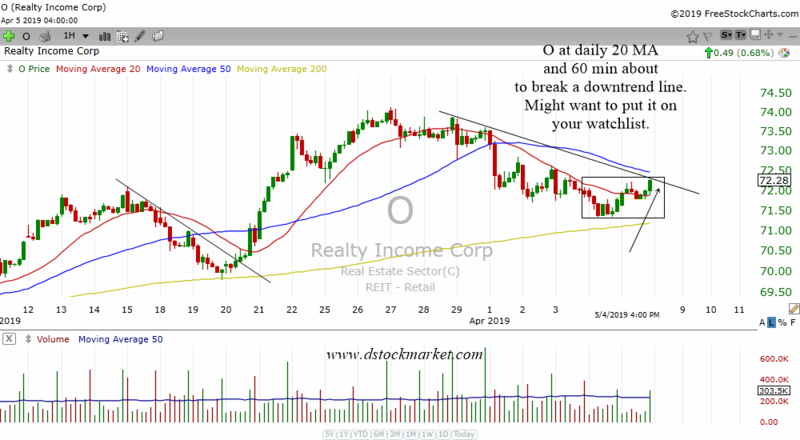 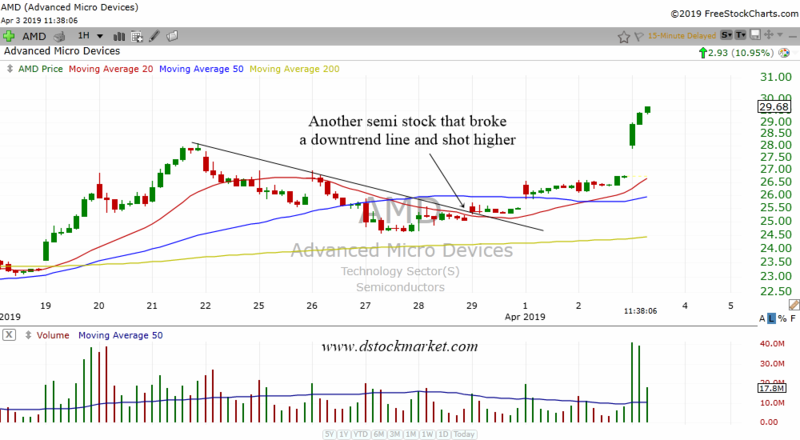 Watch the 50 MA. 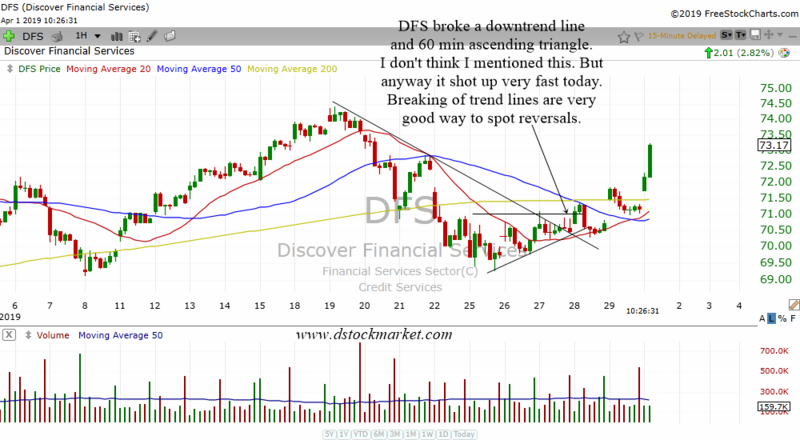 If Dow does not fall below the 50 MA then it is safe to say that there won't be a significant correction or crash.